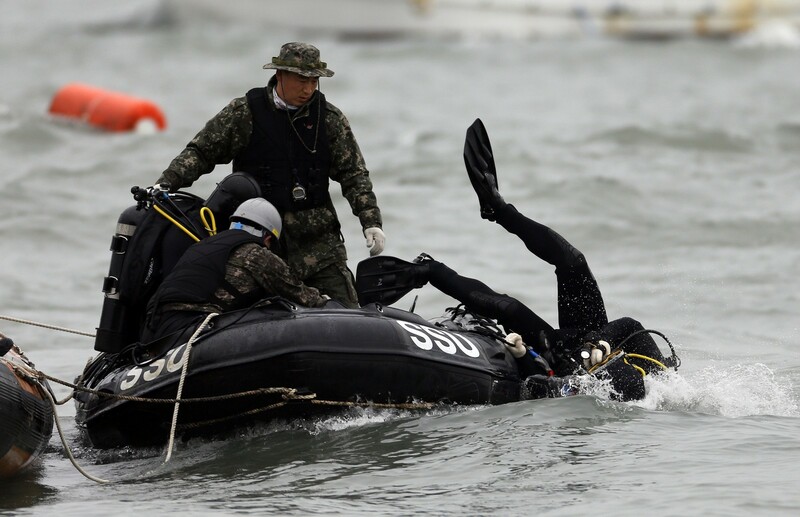 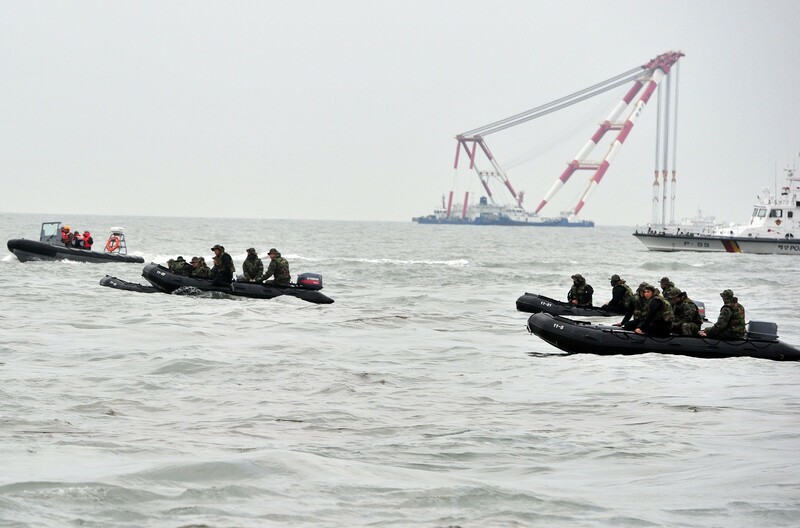 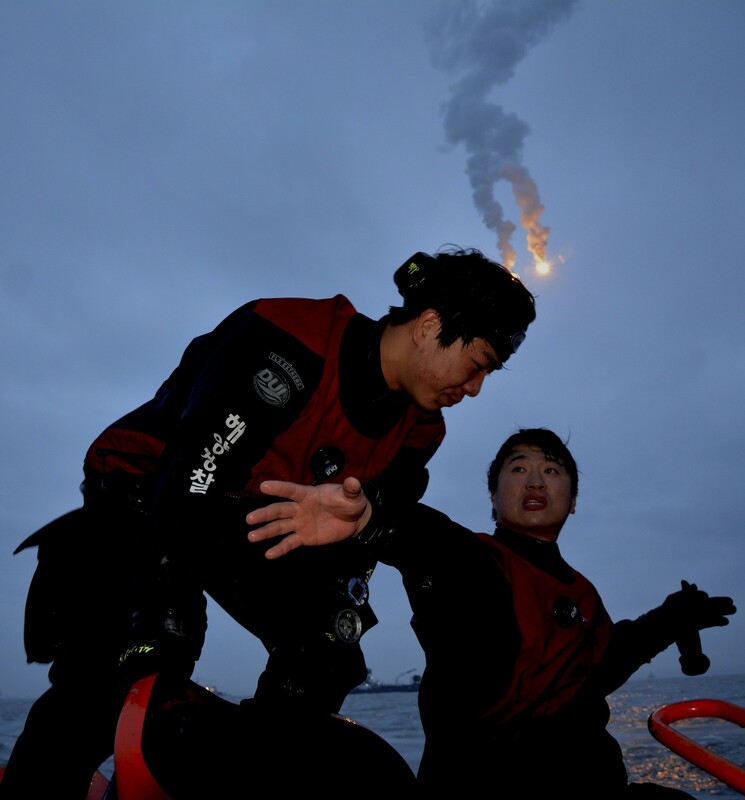 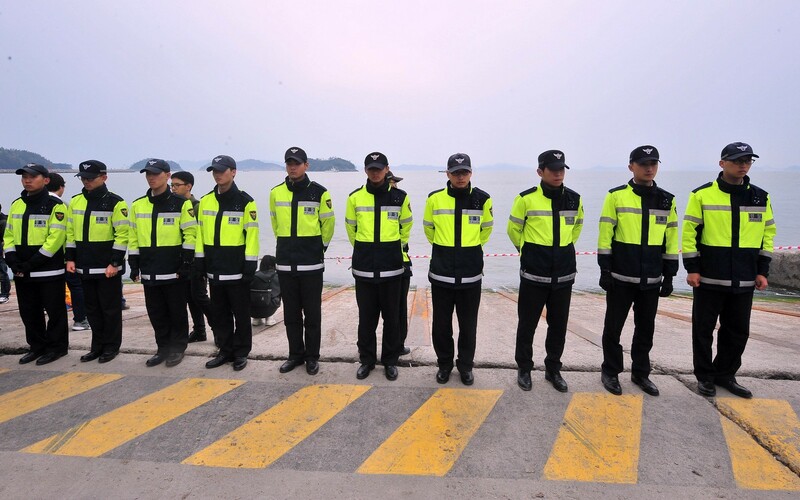 Part of South Korean passenger ship "Sewol" that has been sinking is seen as South Korean maritime policemen search for passengers in the sea off Jindo April 16, 2014. 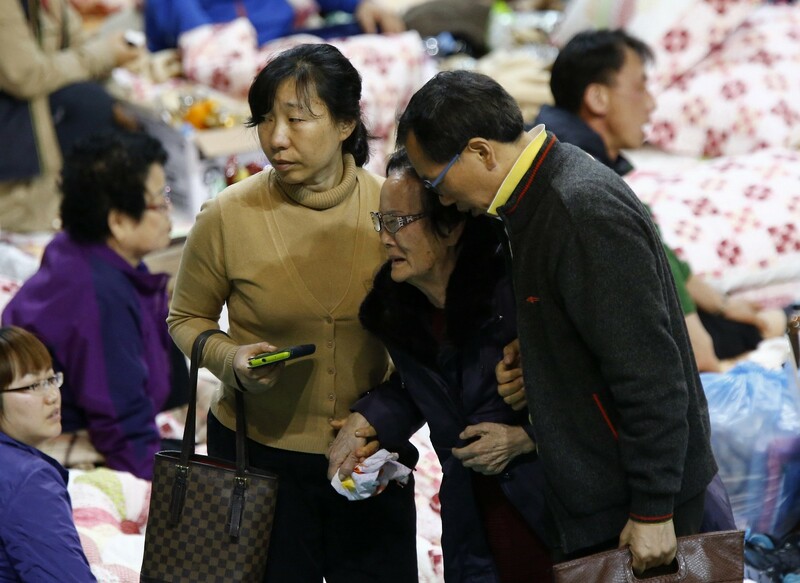 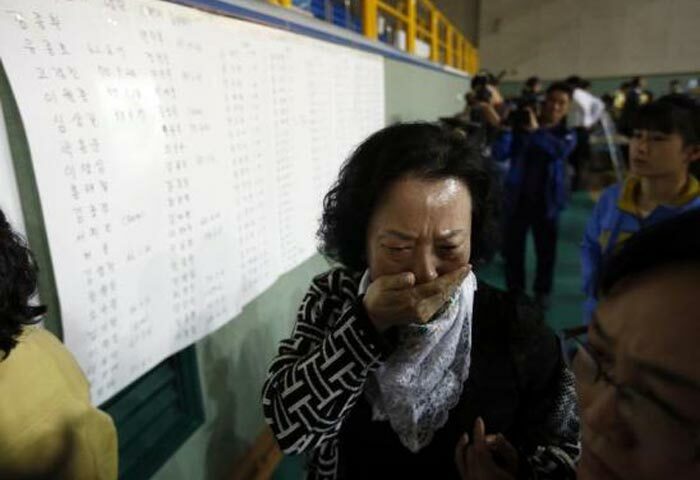 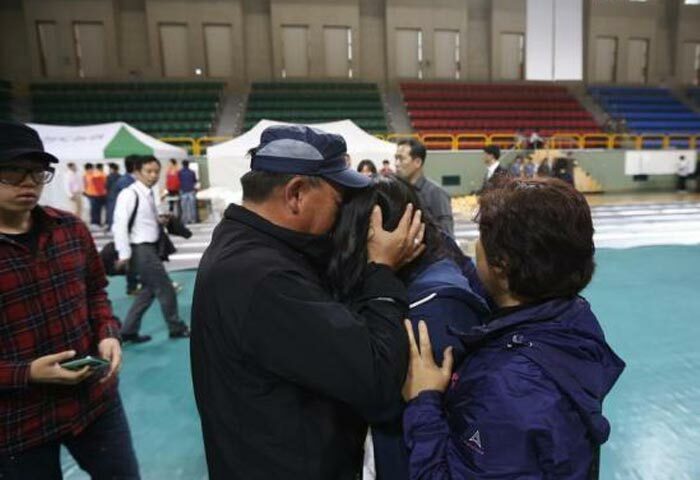 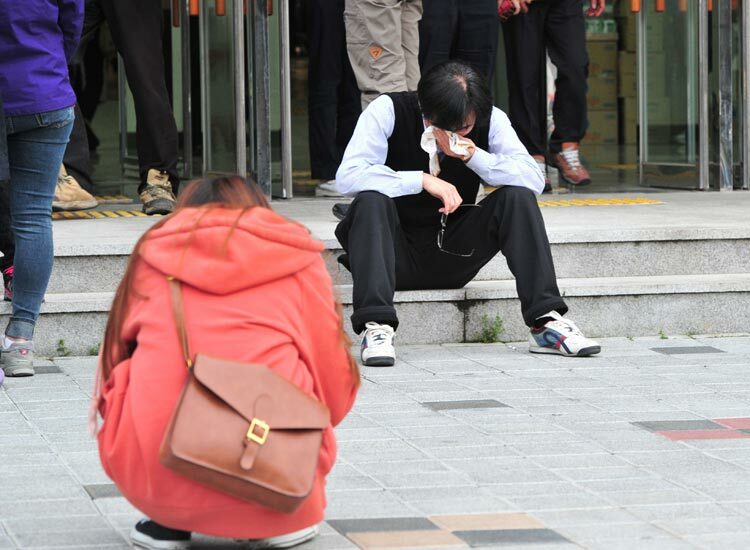 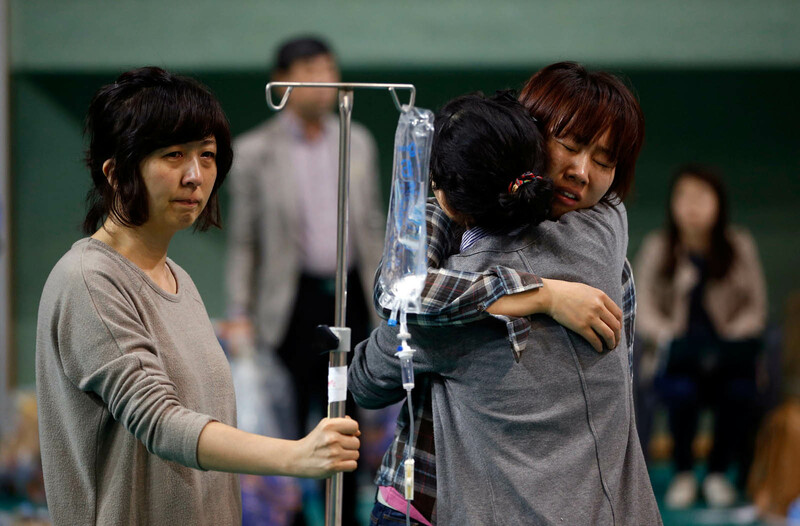 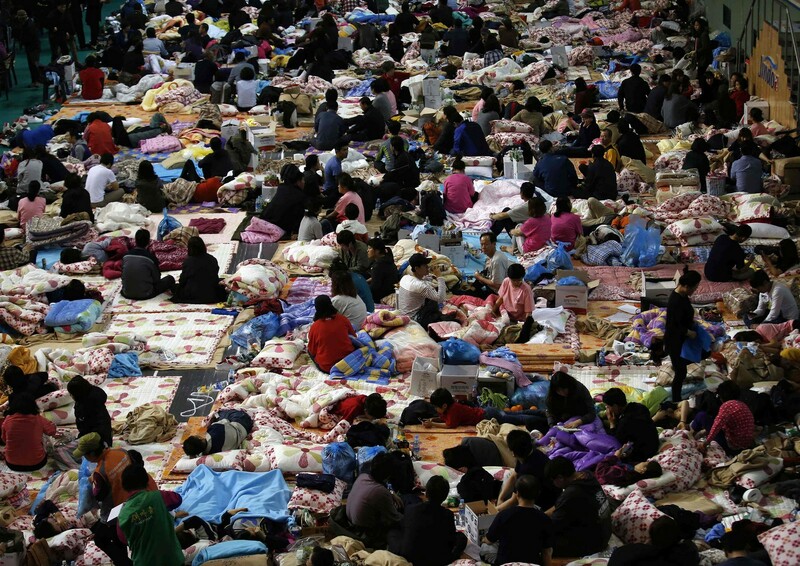 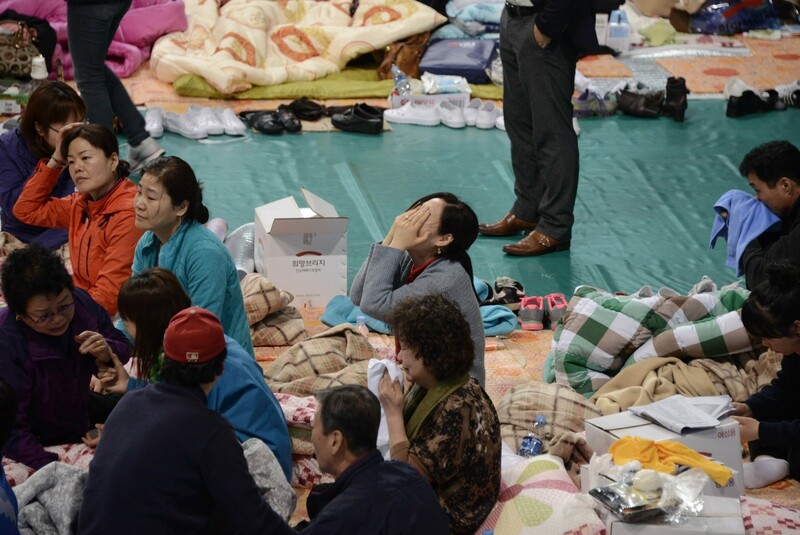 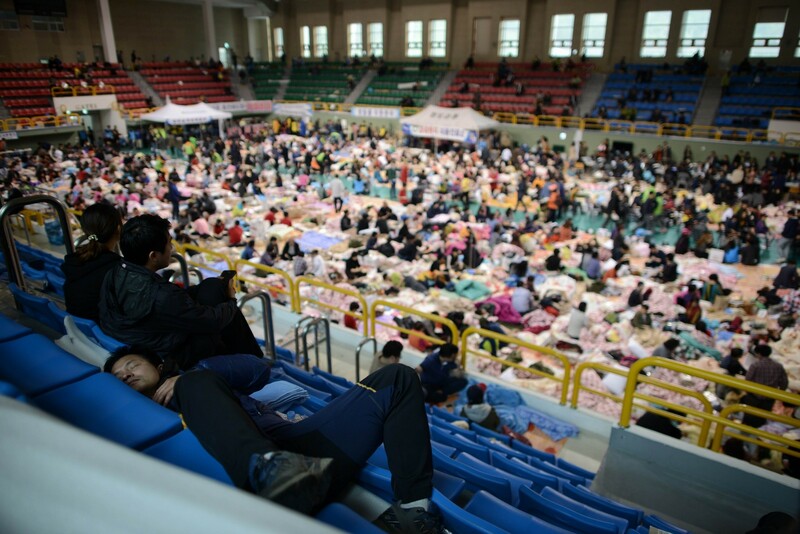 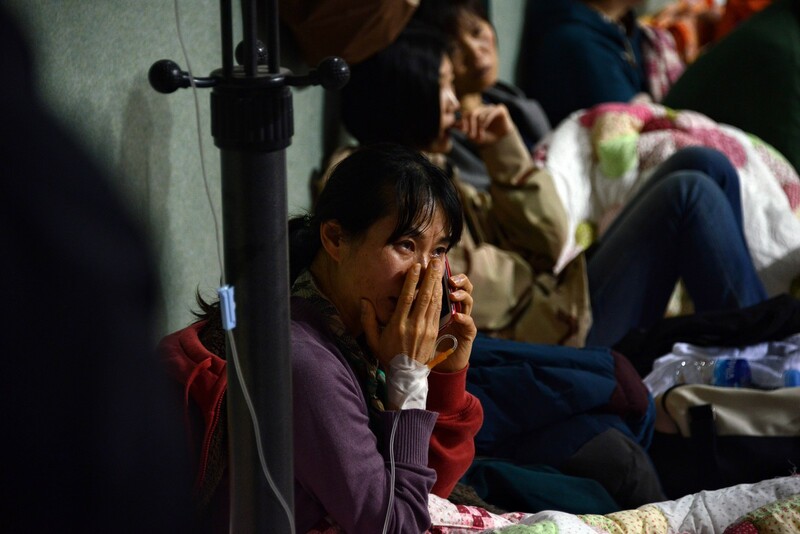 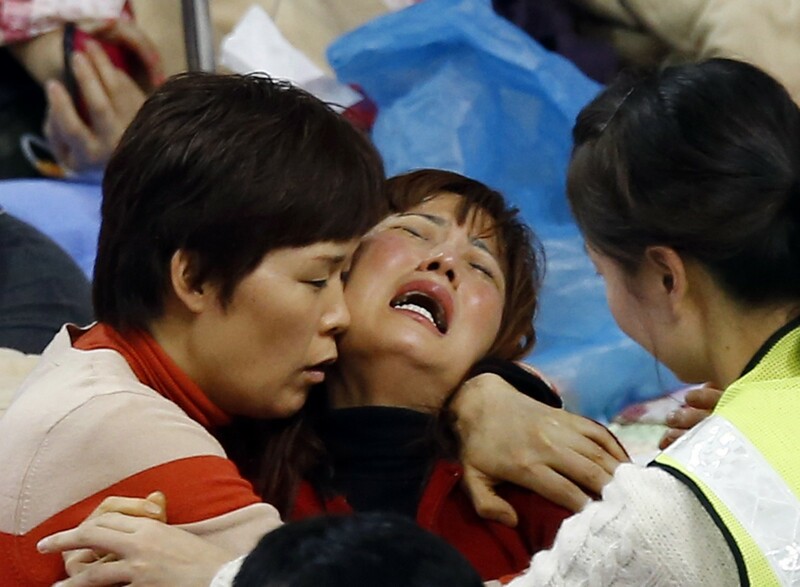 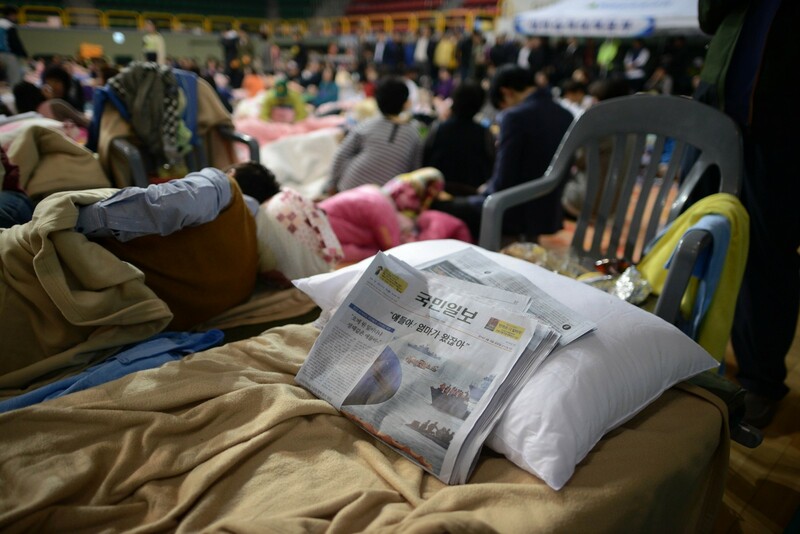 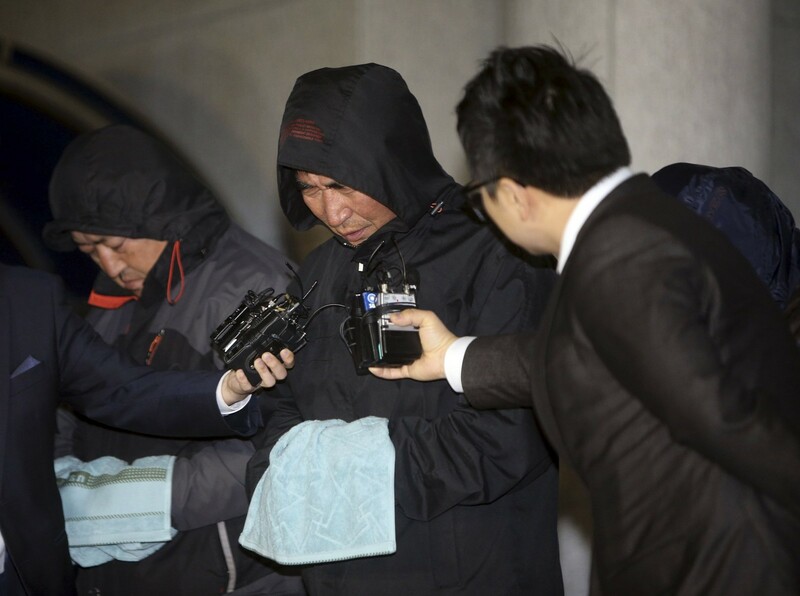 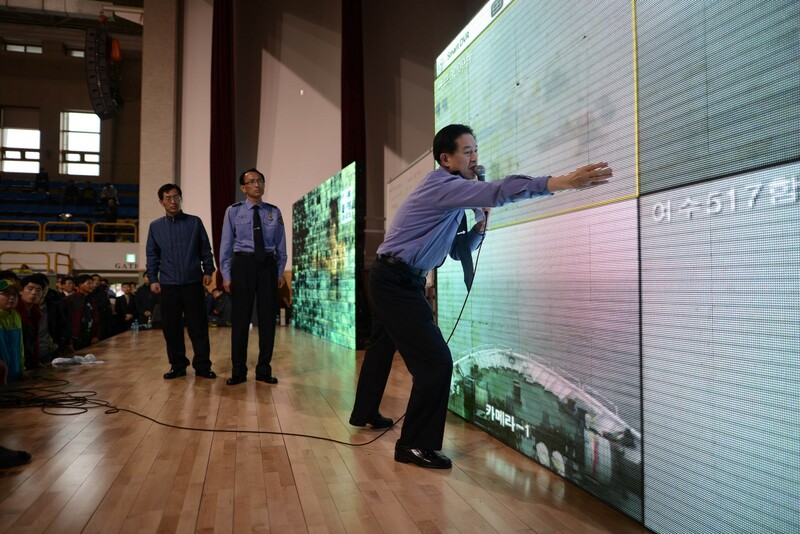 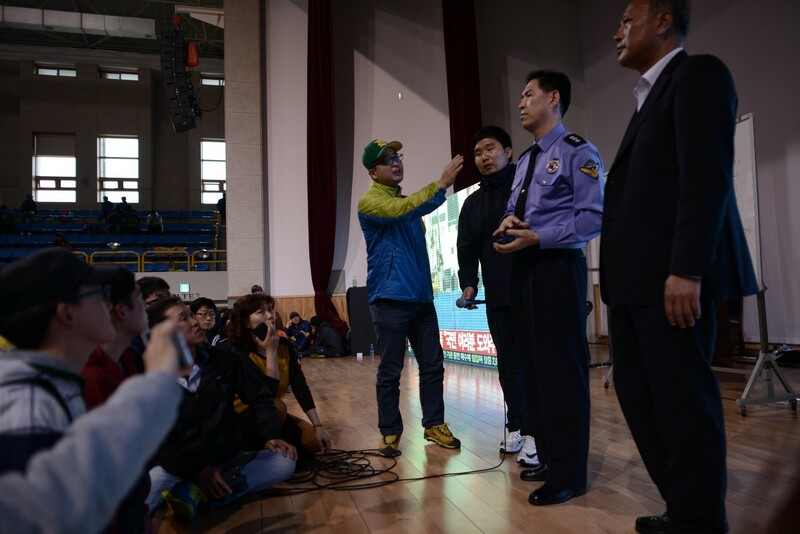 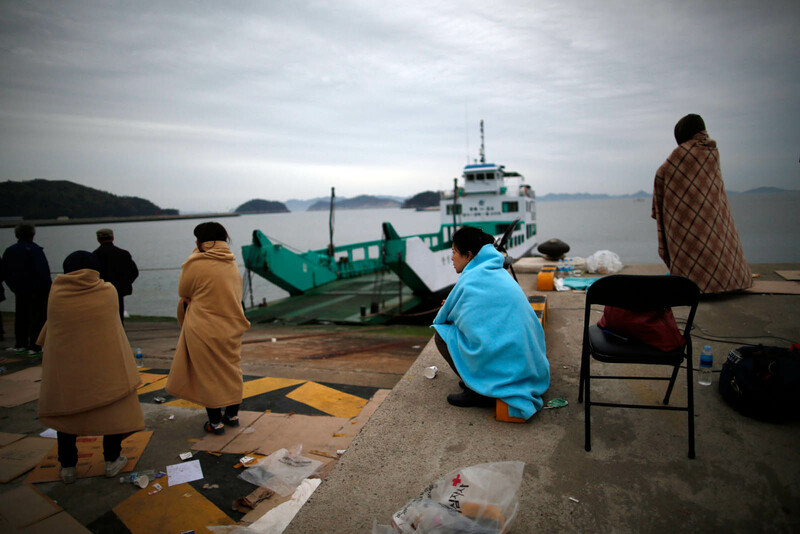 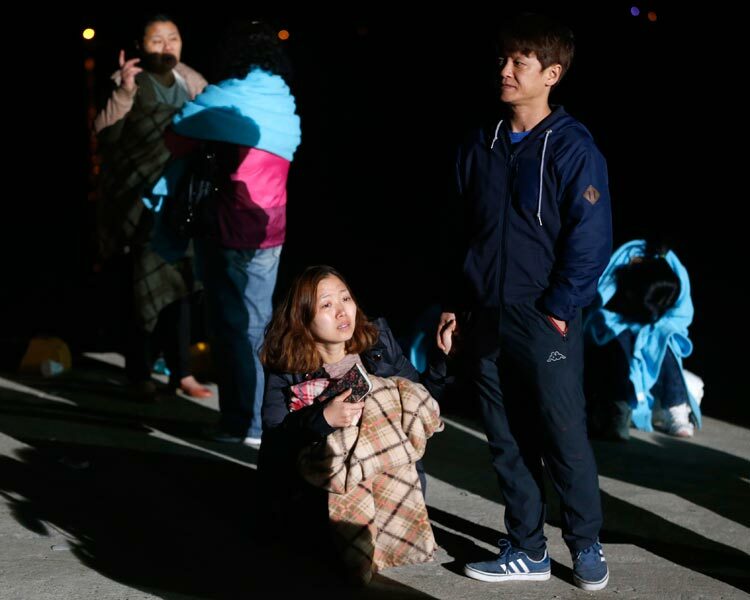 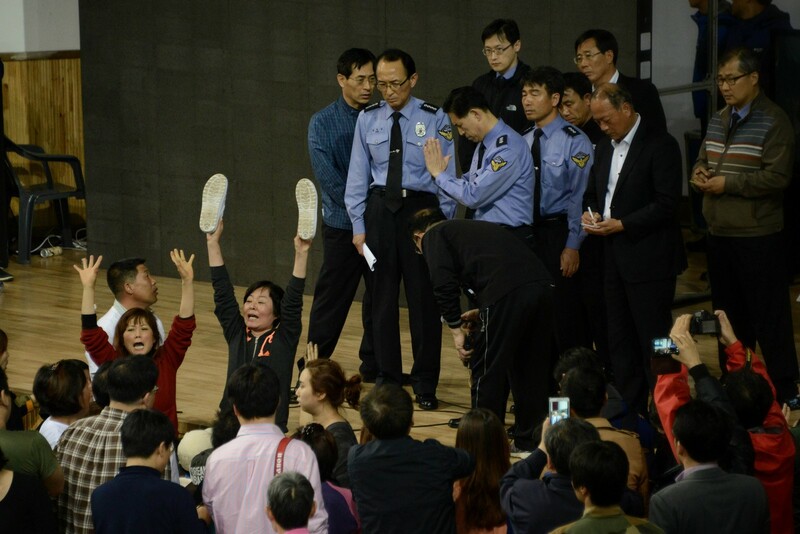 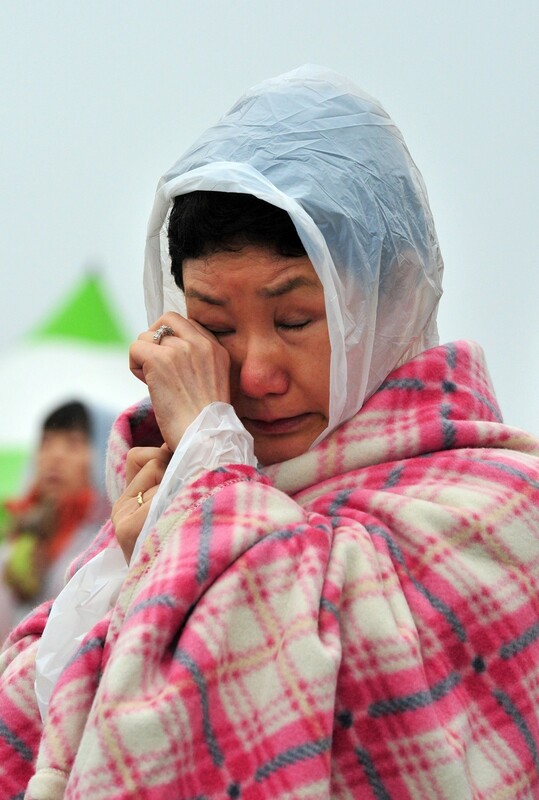 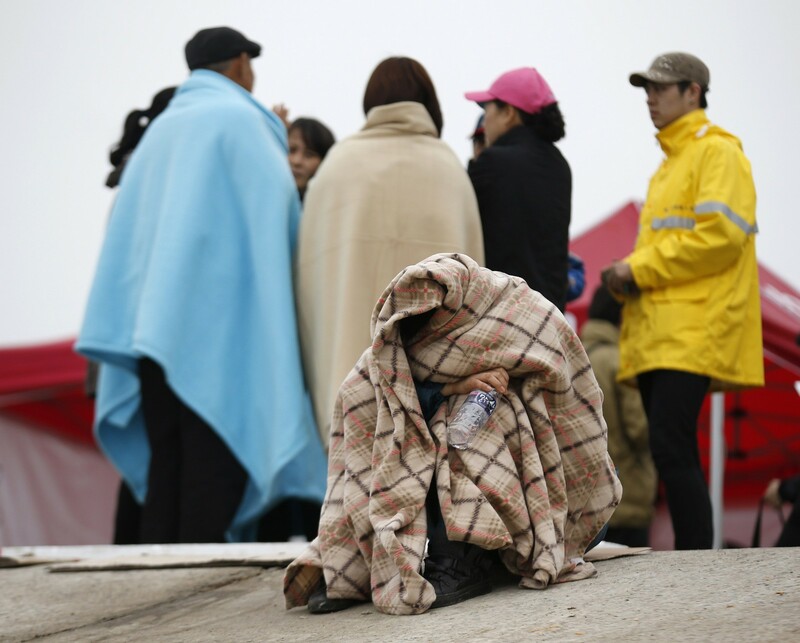 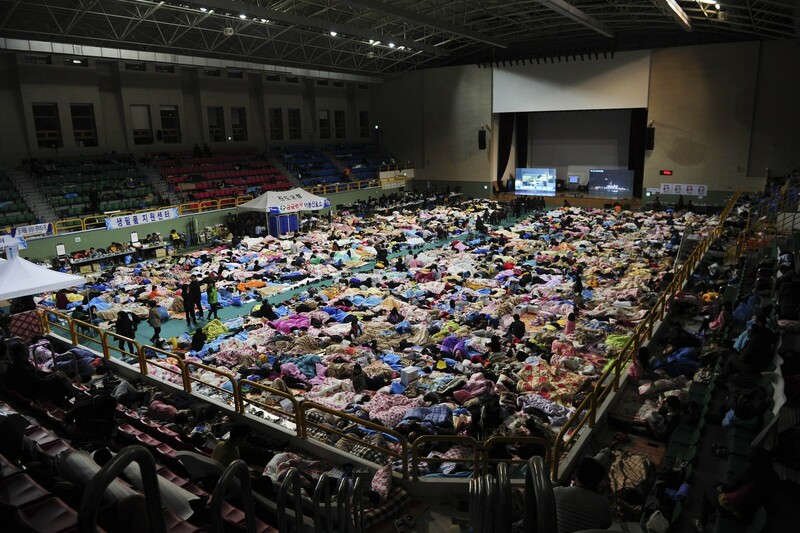 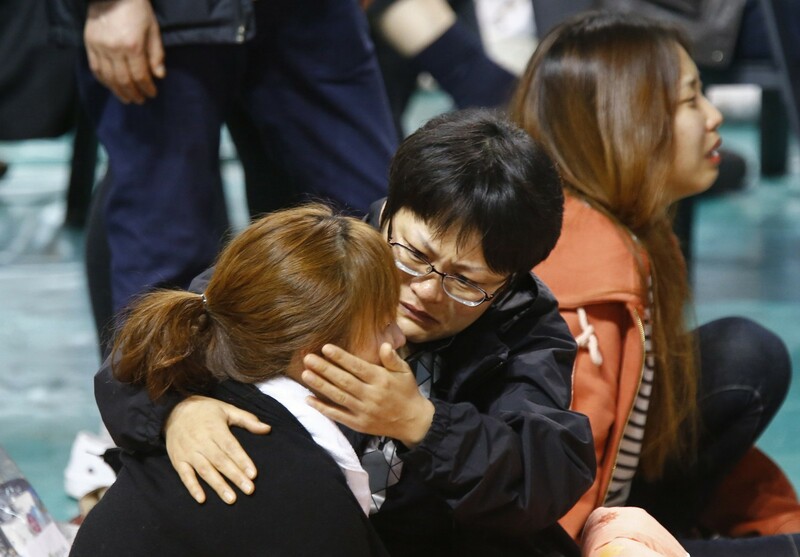 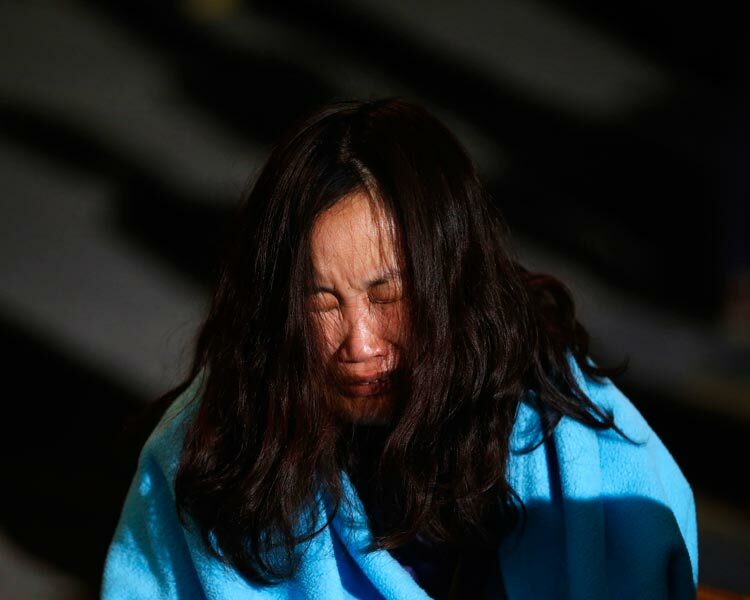 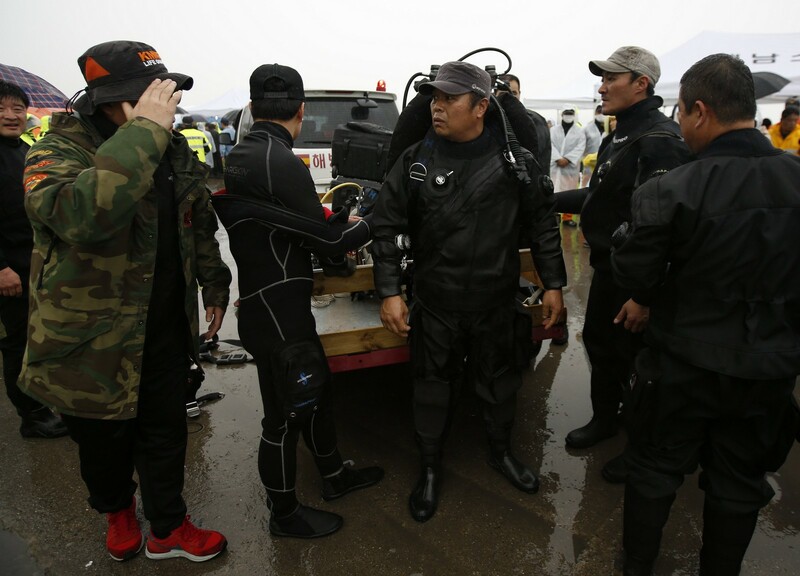 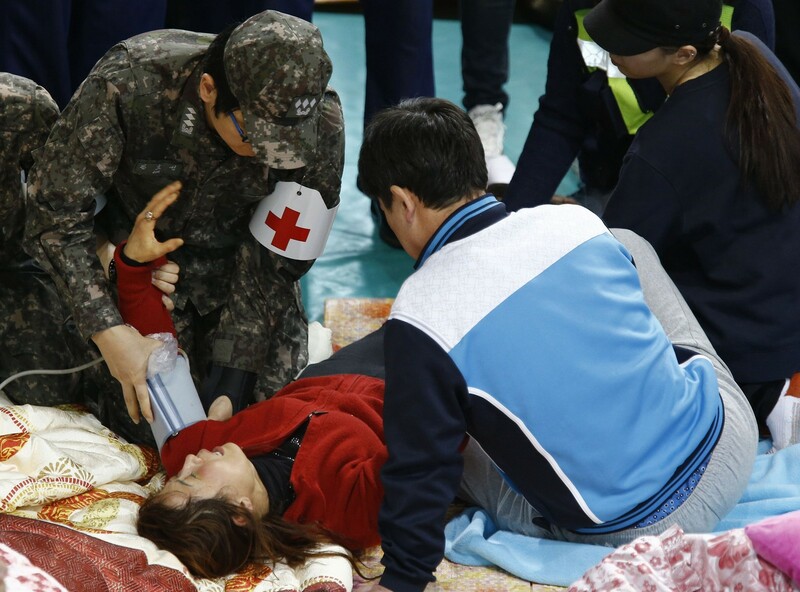 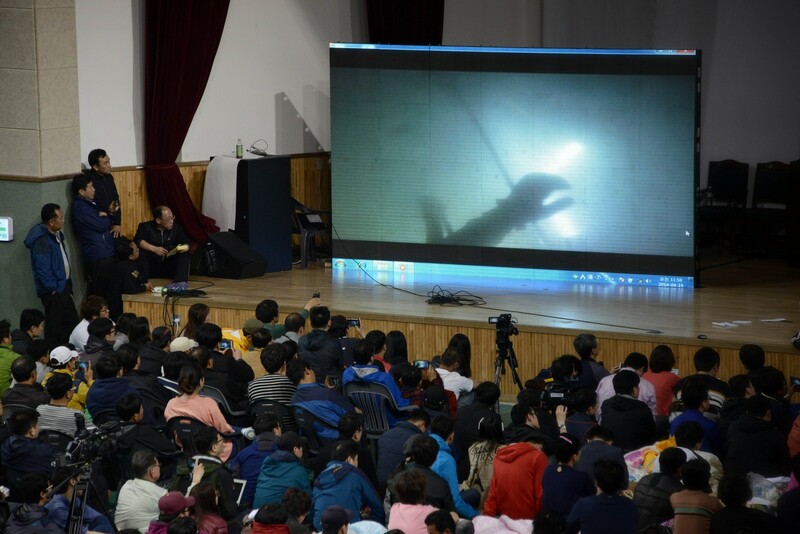 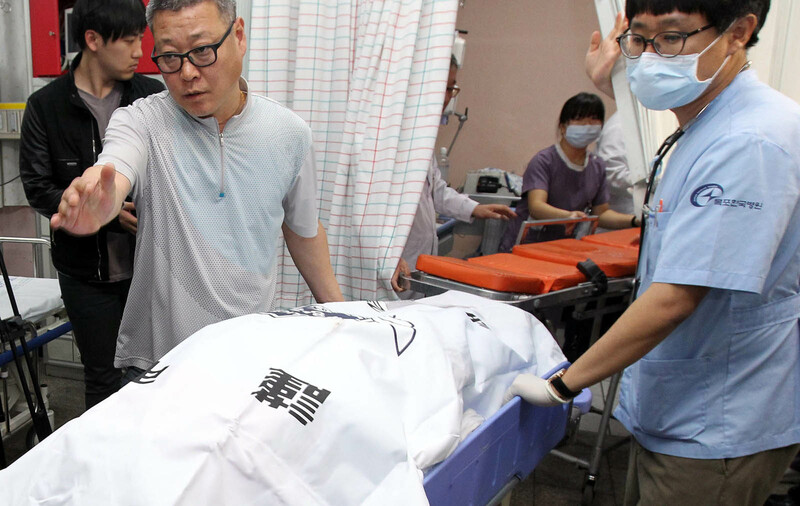 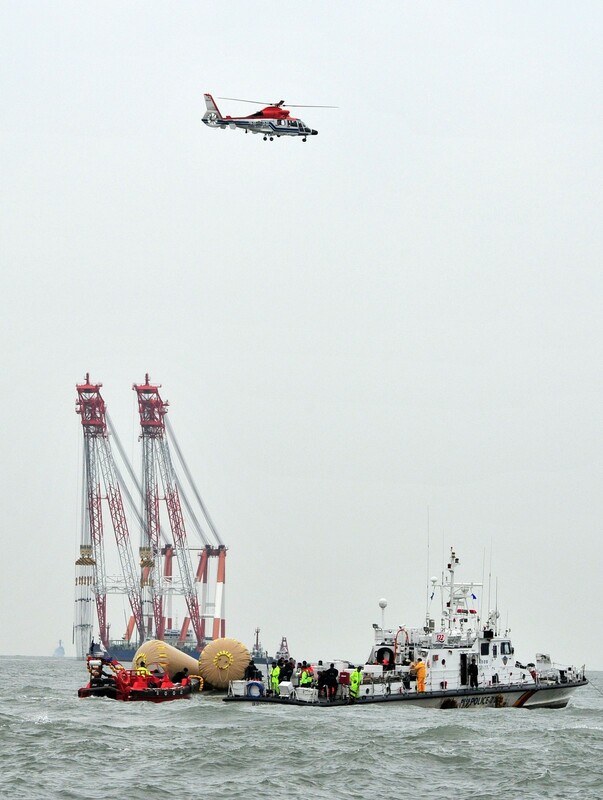 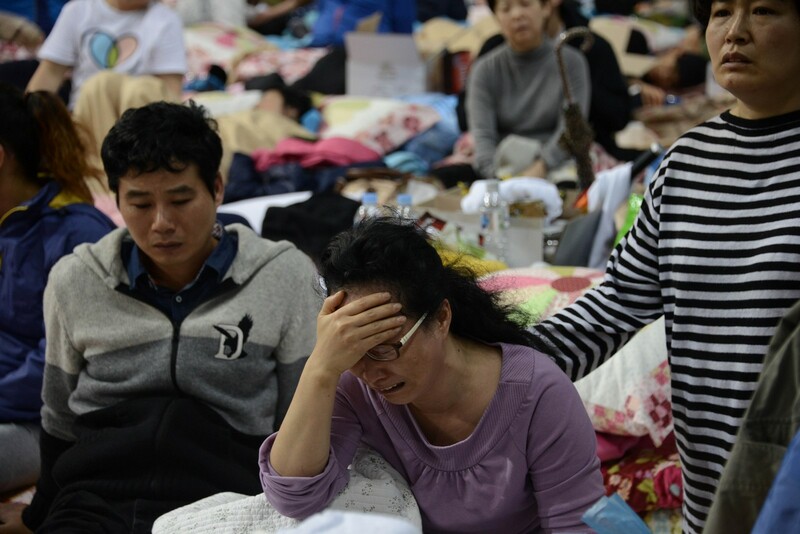 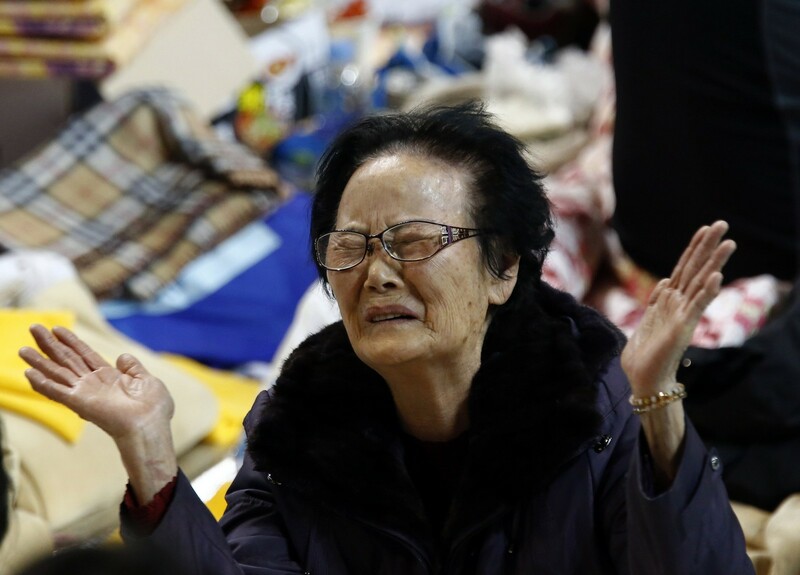 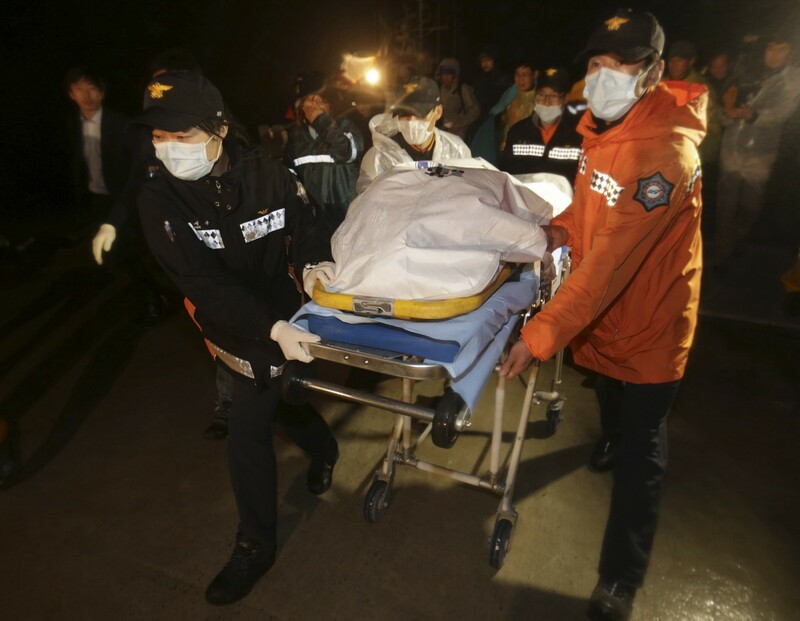 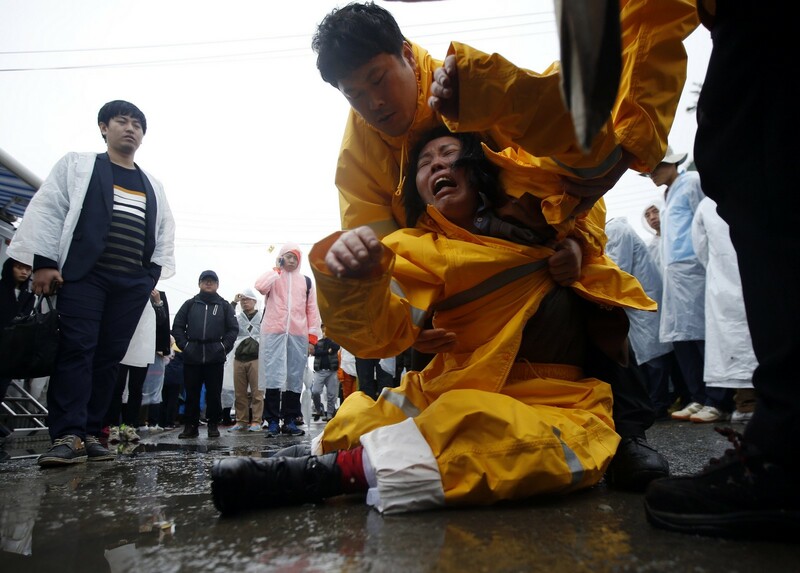 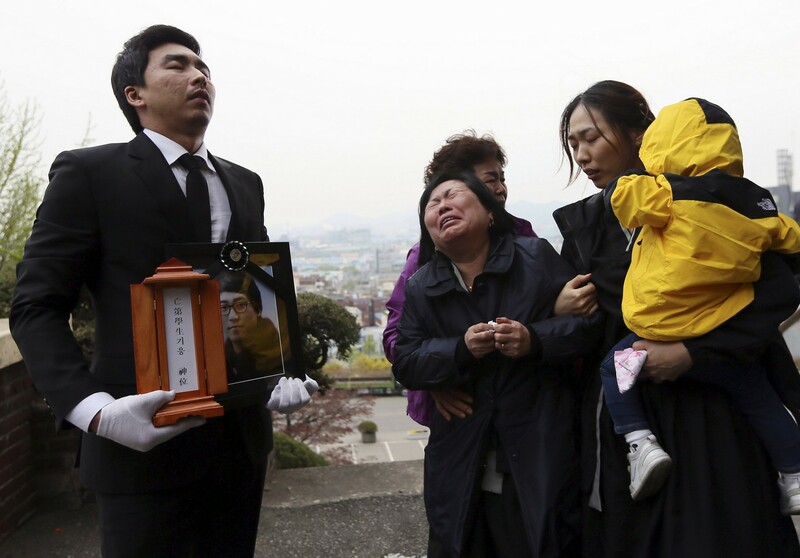 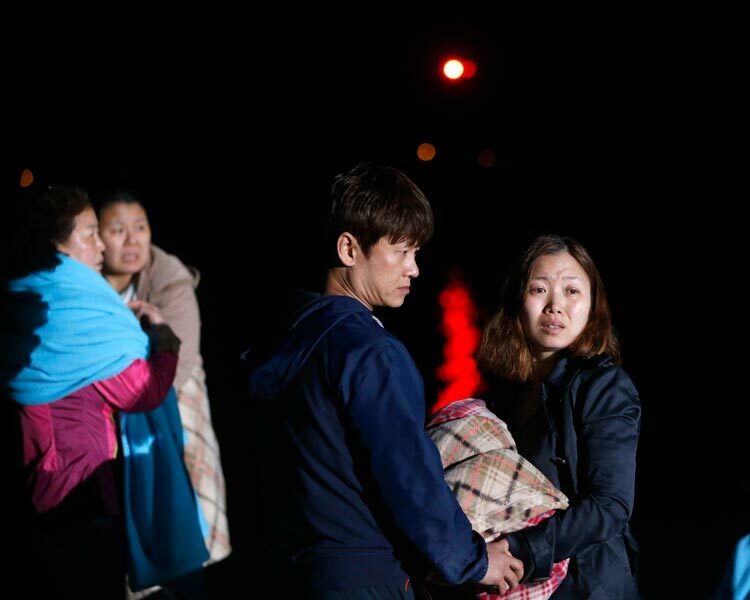 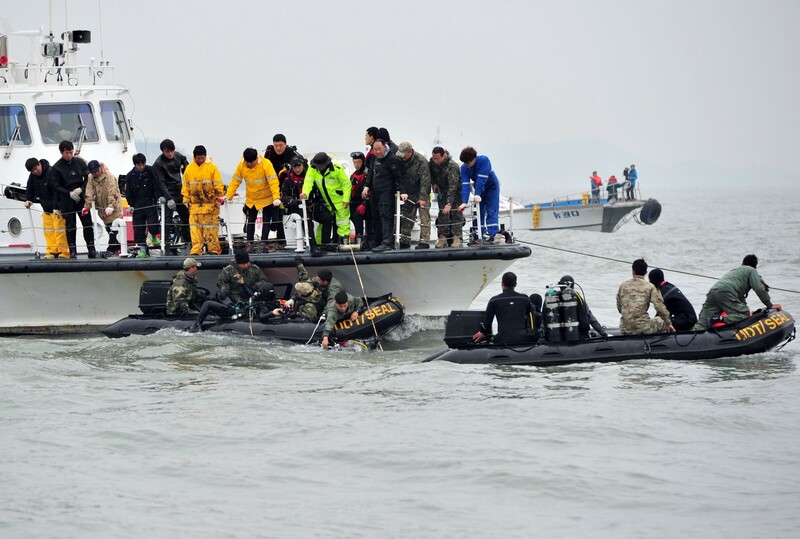 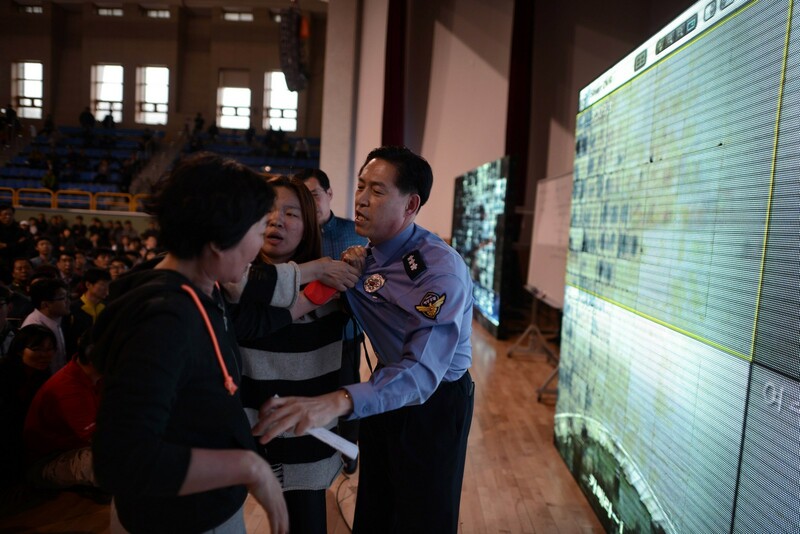 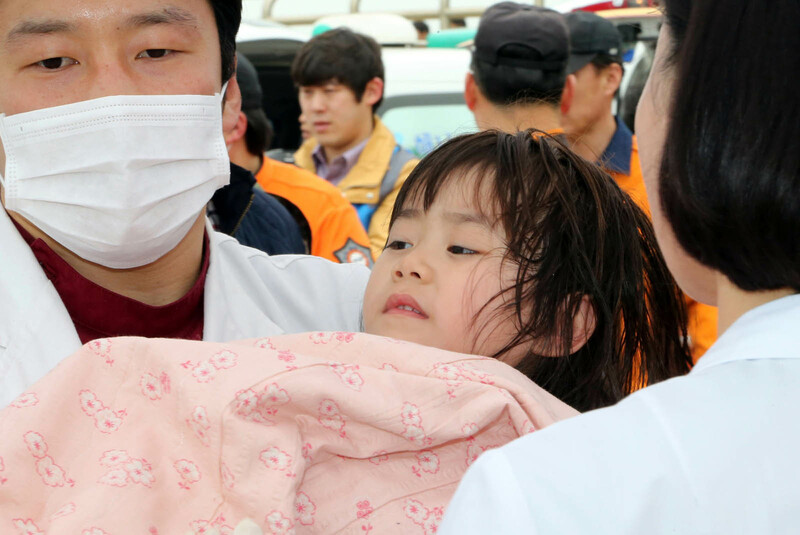 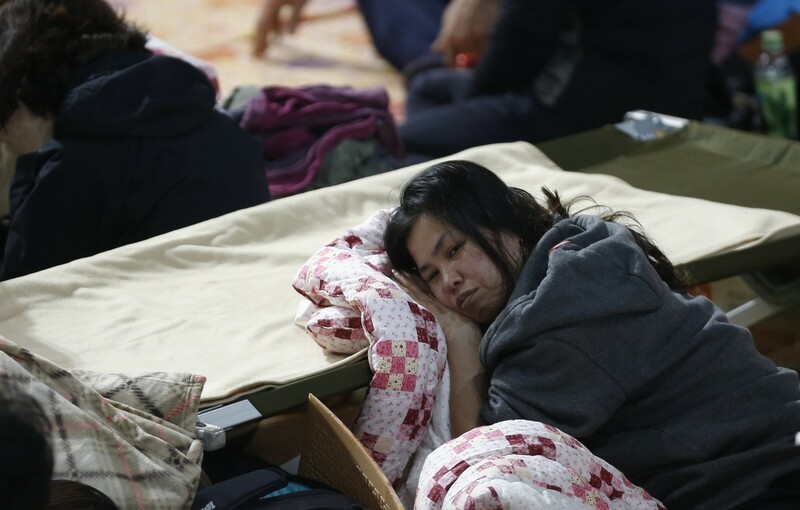 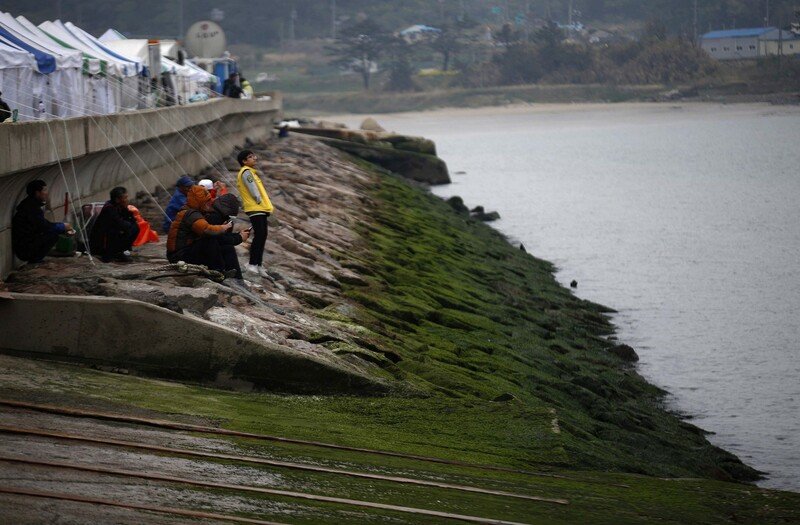 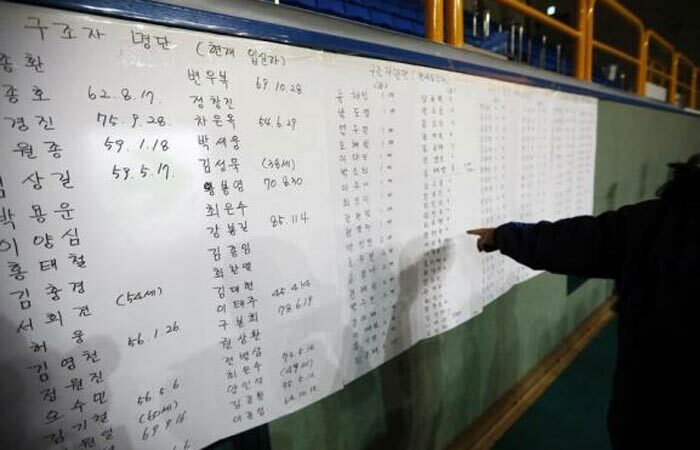 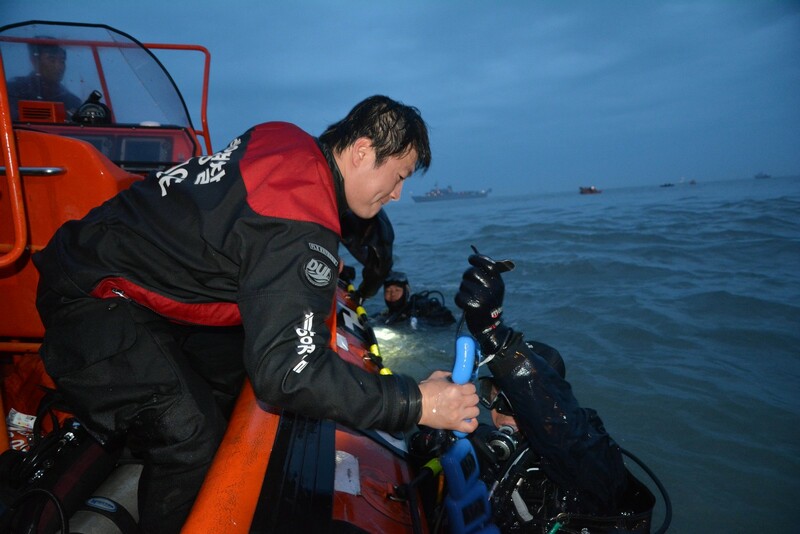 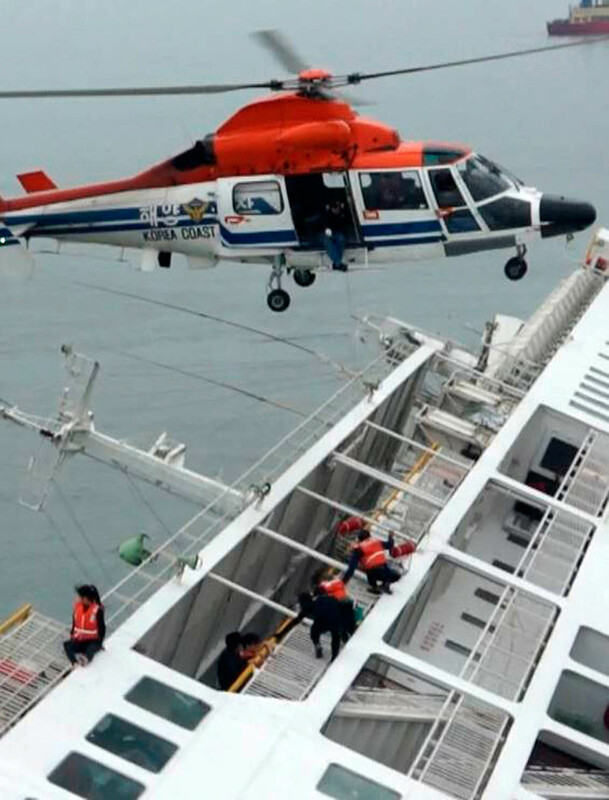 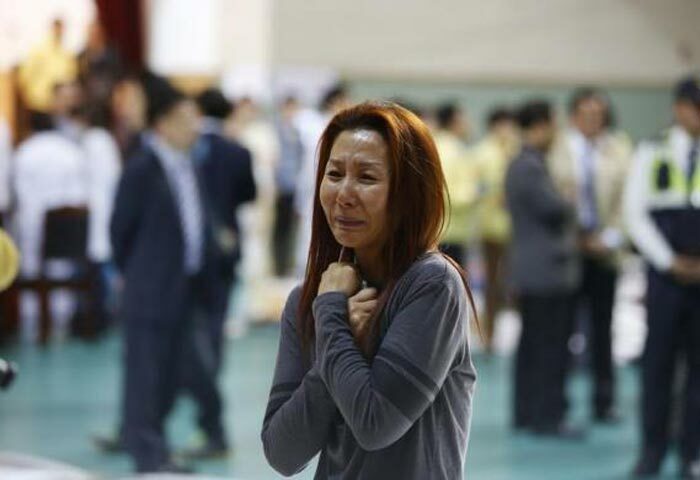 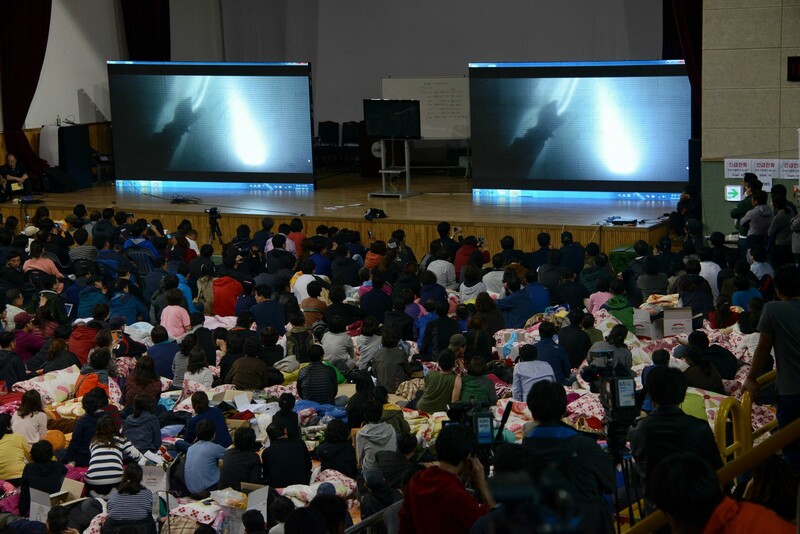 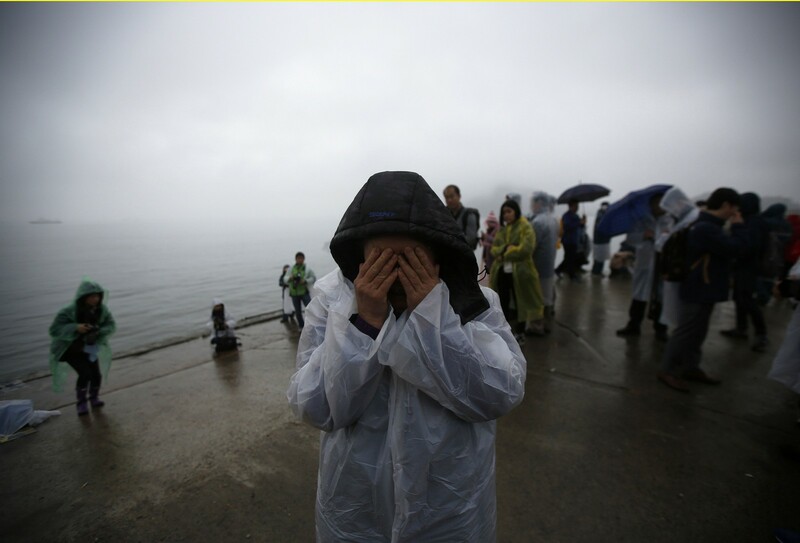 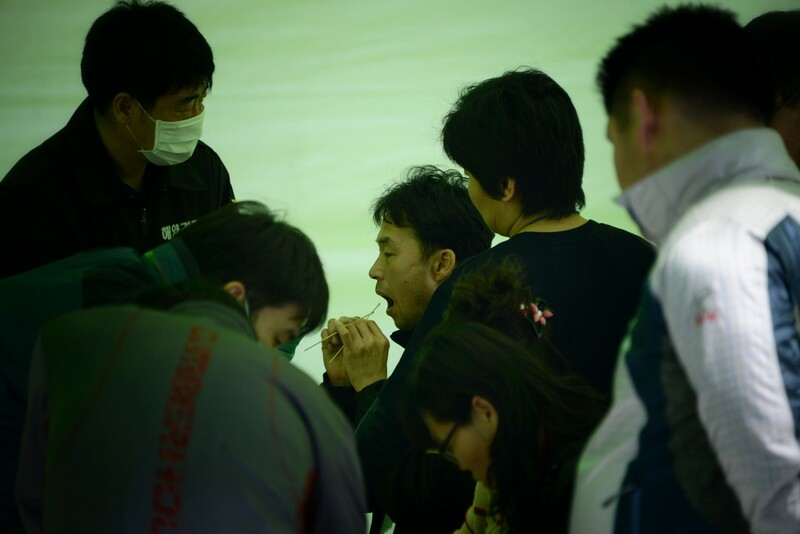 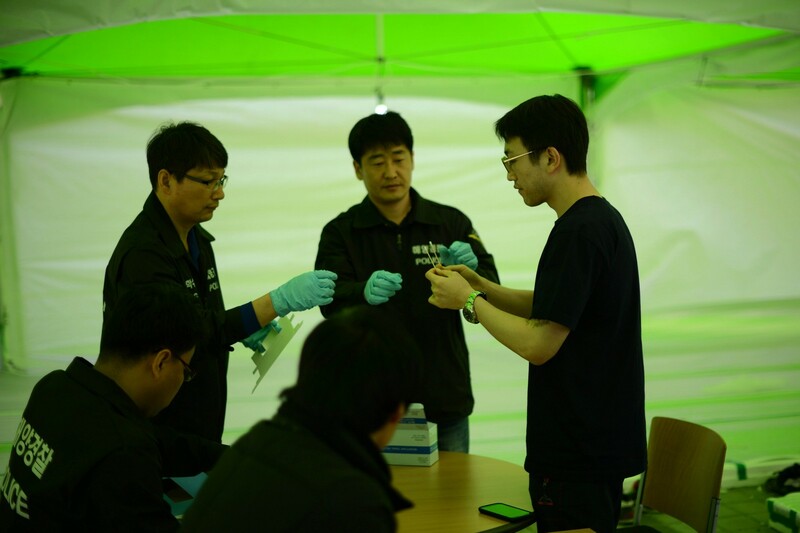 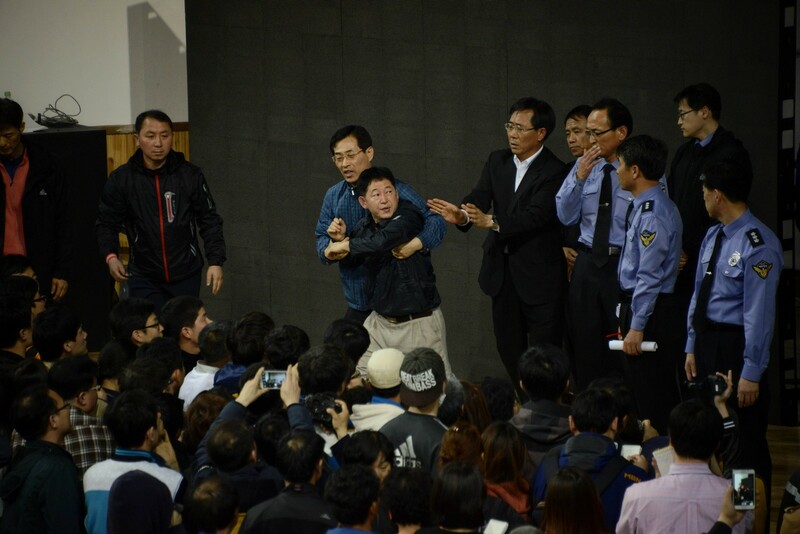 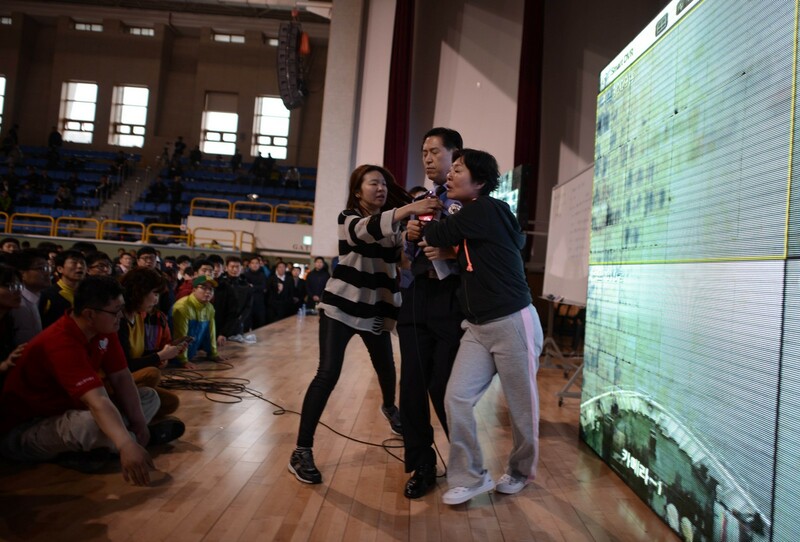 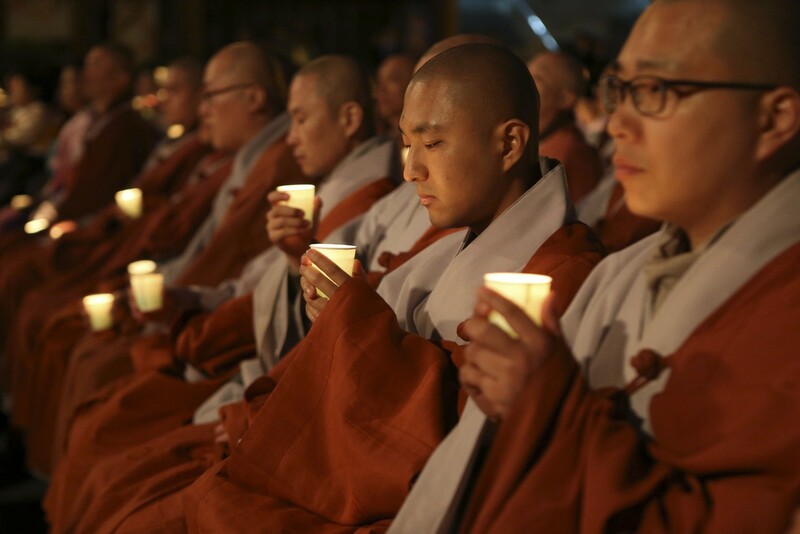 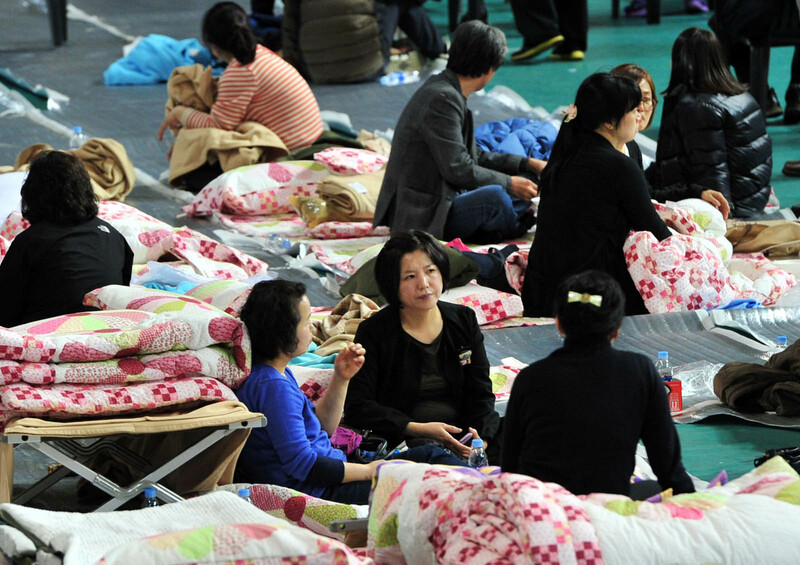 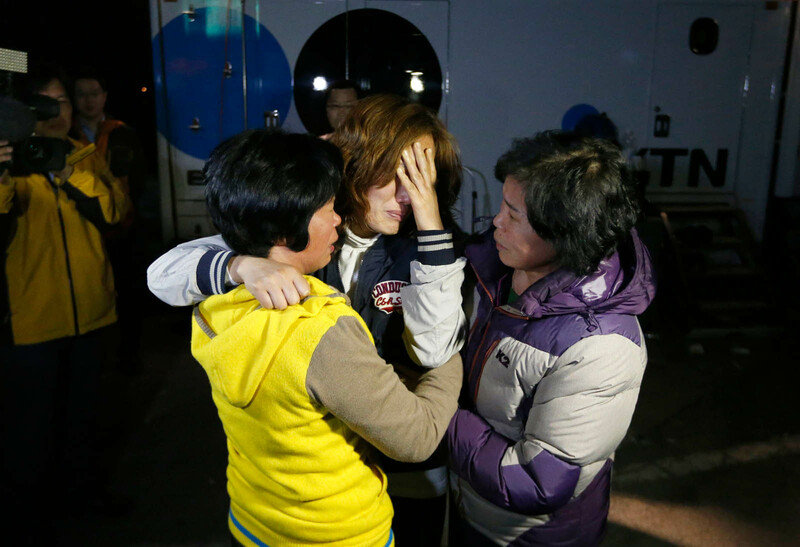 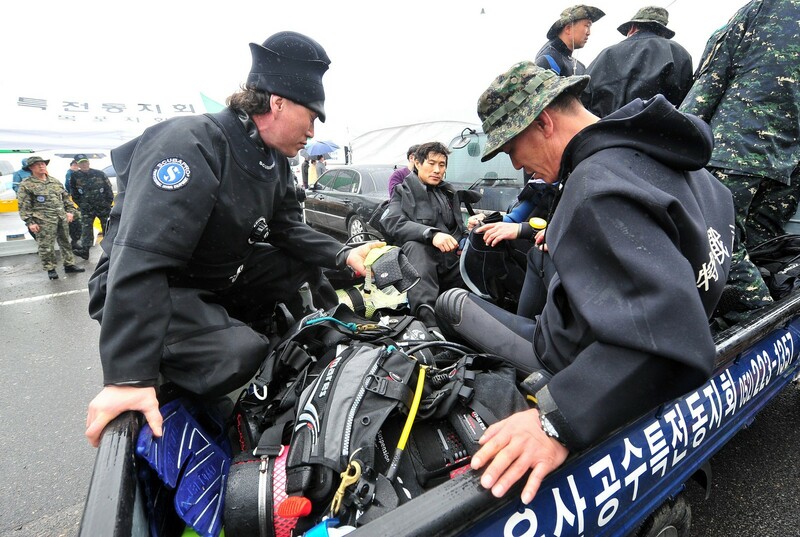 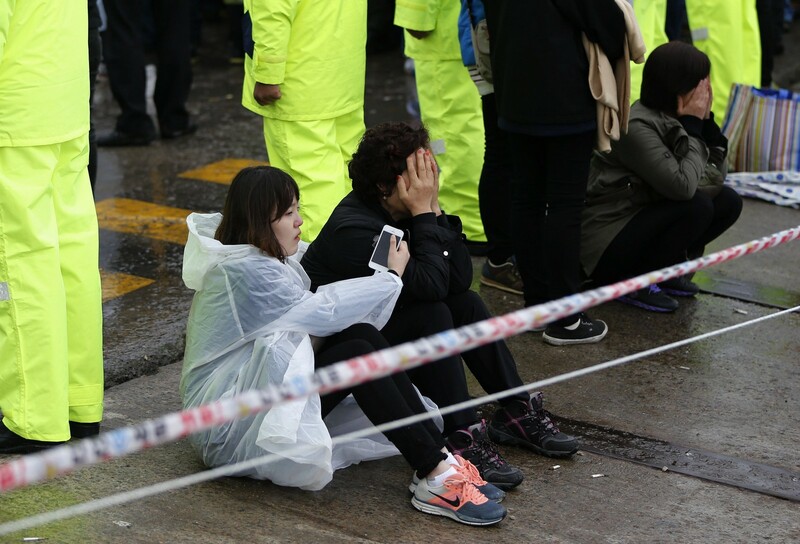 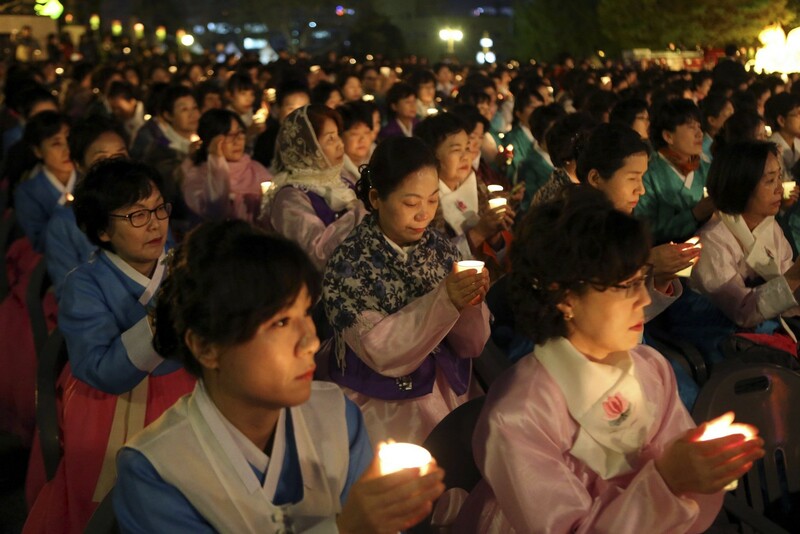 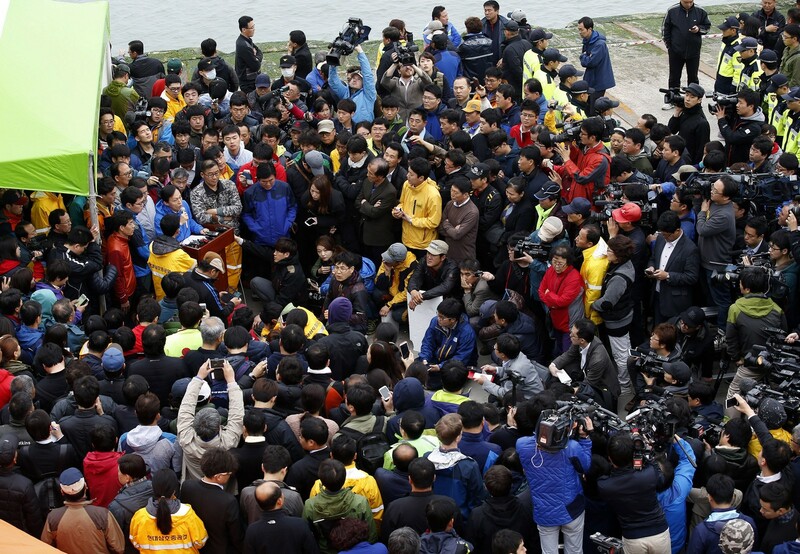 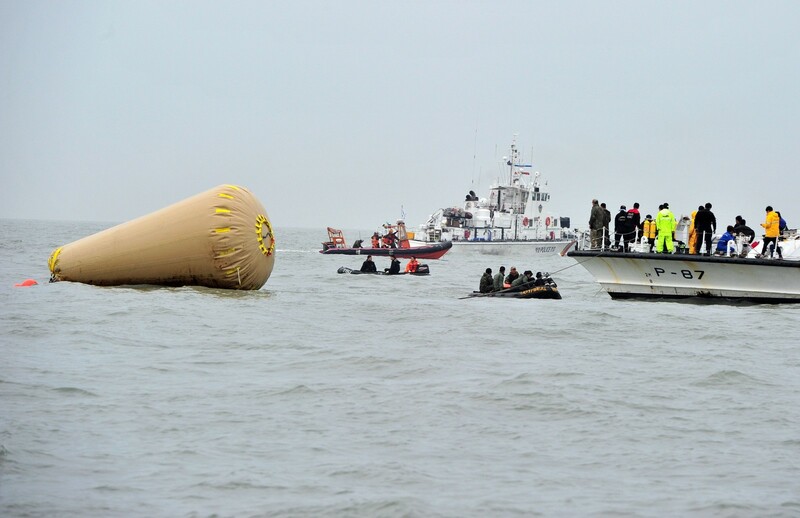 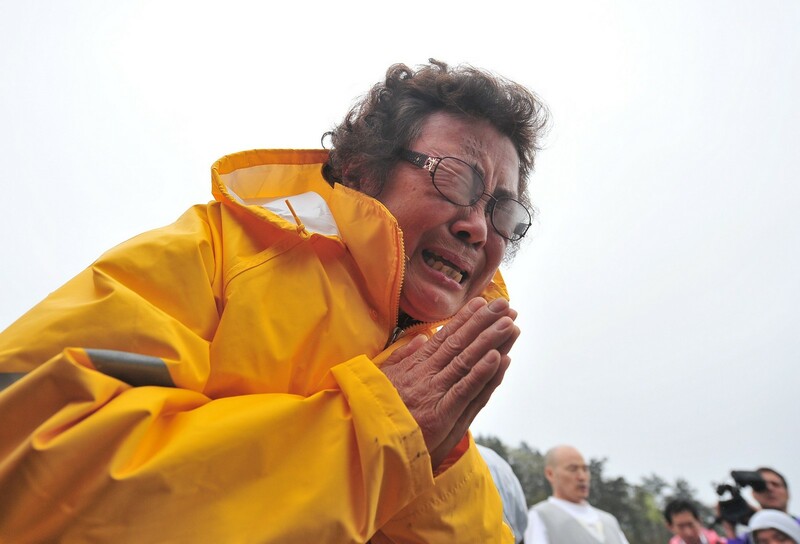 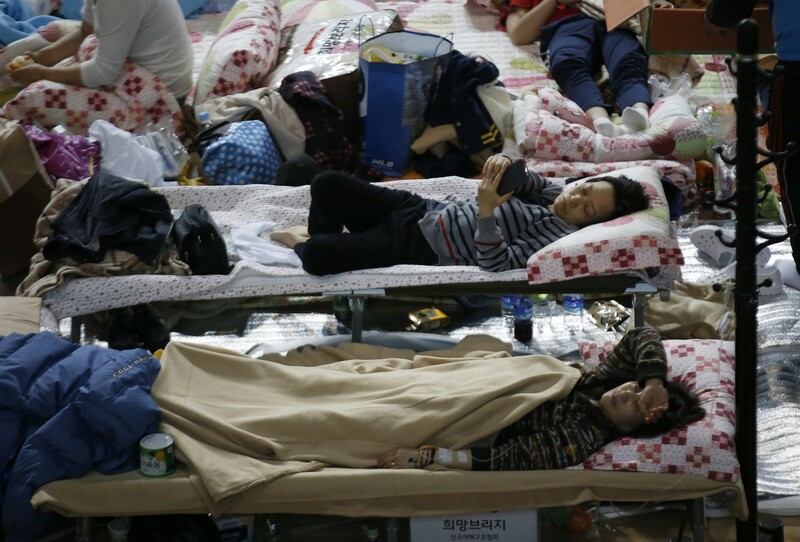 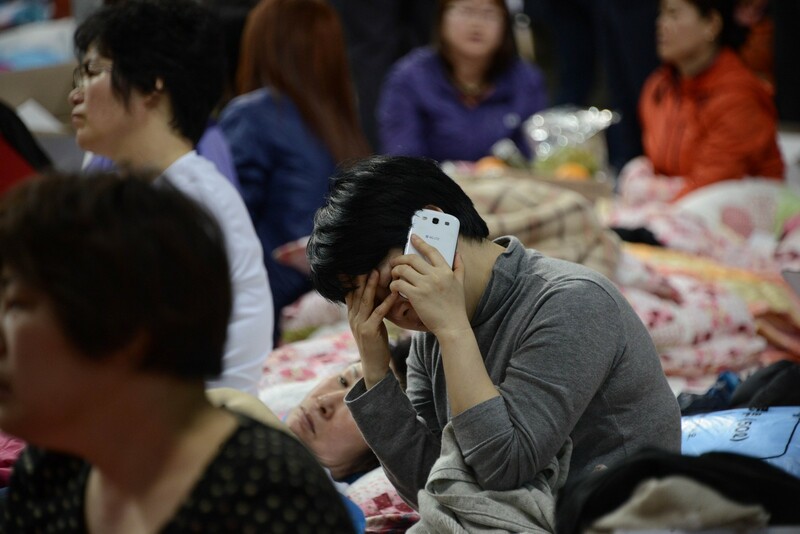 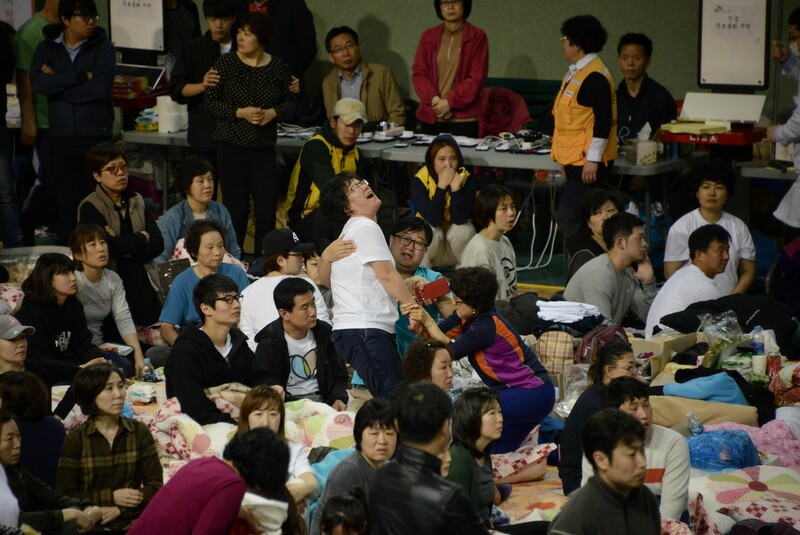 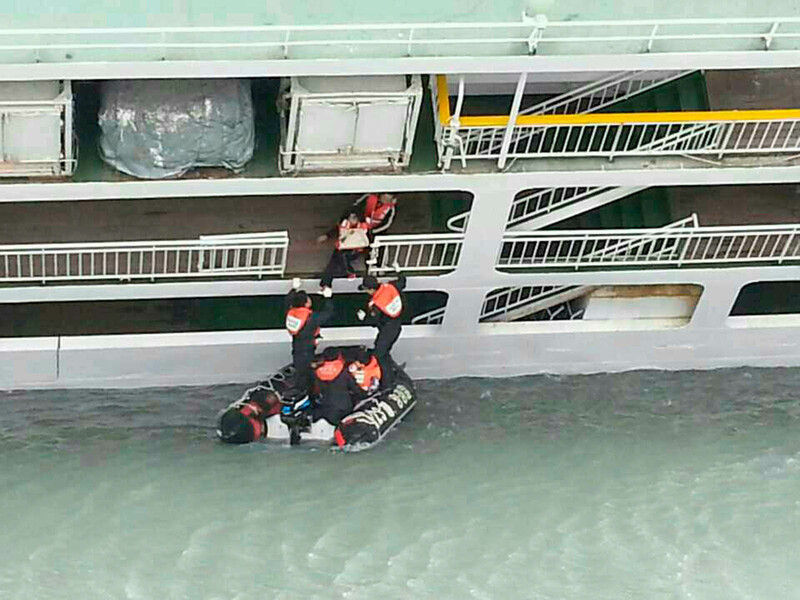 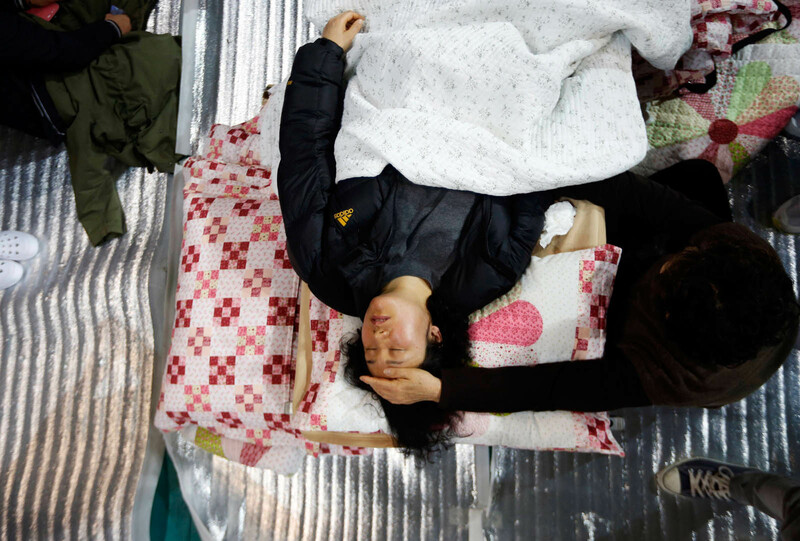 The search and rescue efforts for the passengers of the sunken ferry Sewol resumed early Thursday with 289 people still unaccounted for. 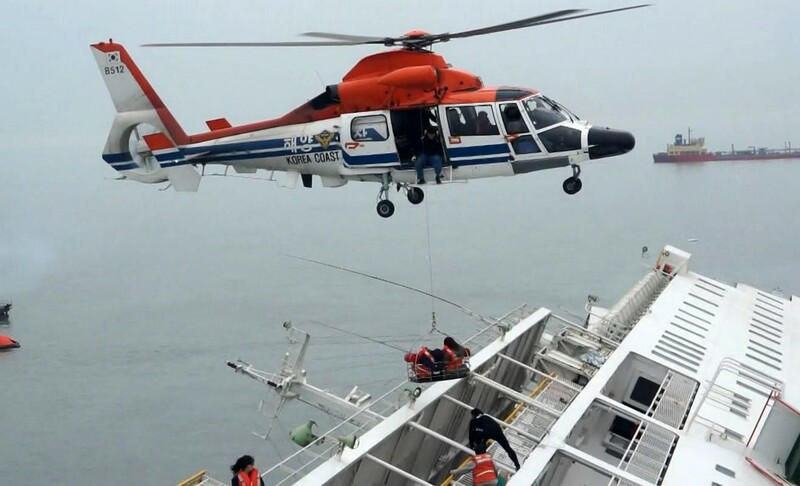 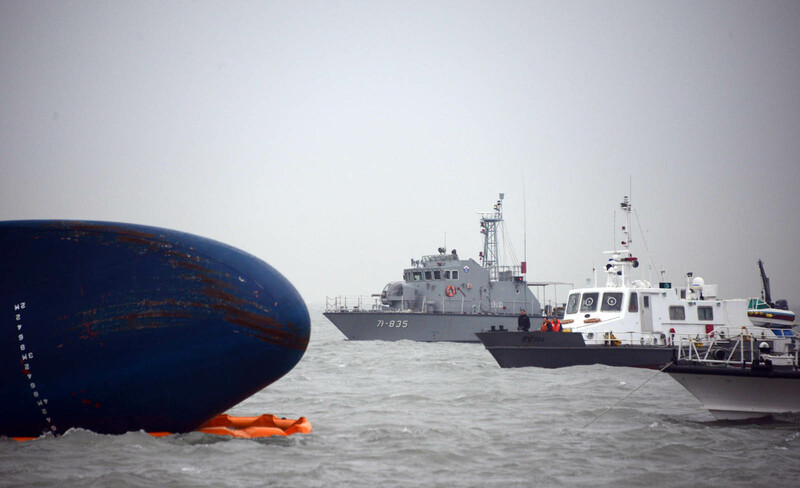 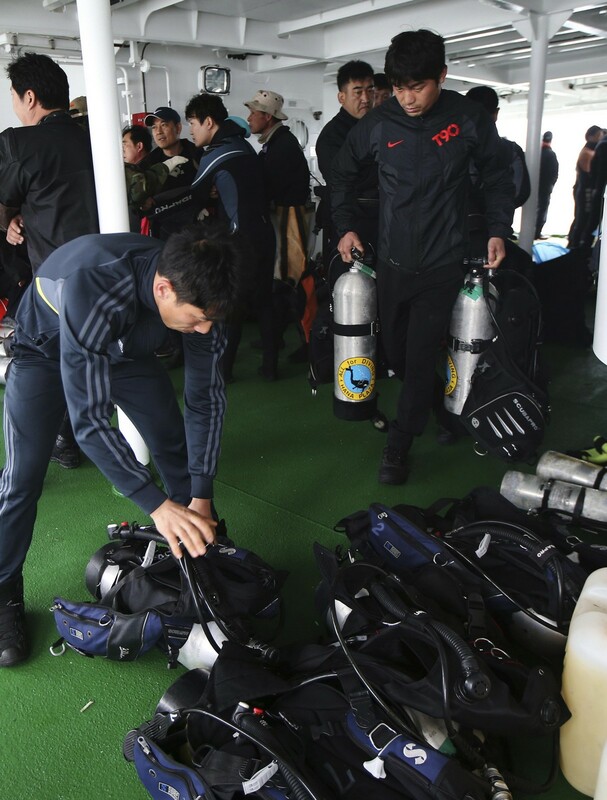 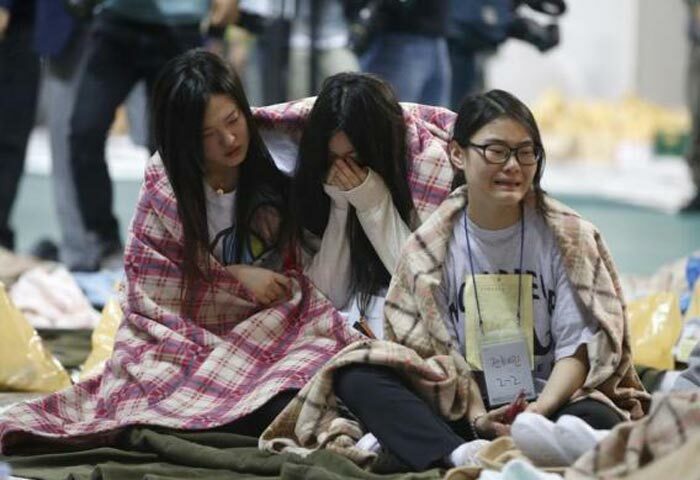 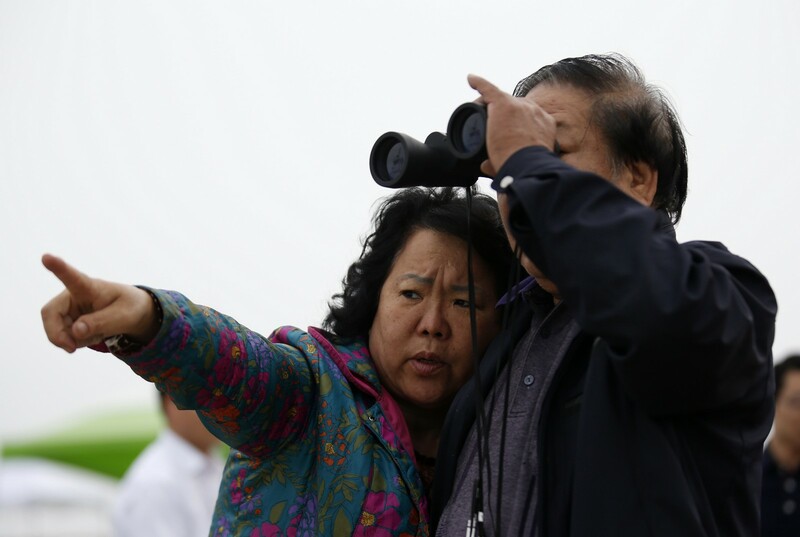 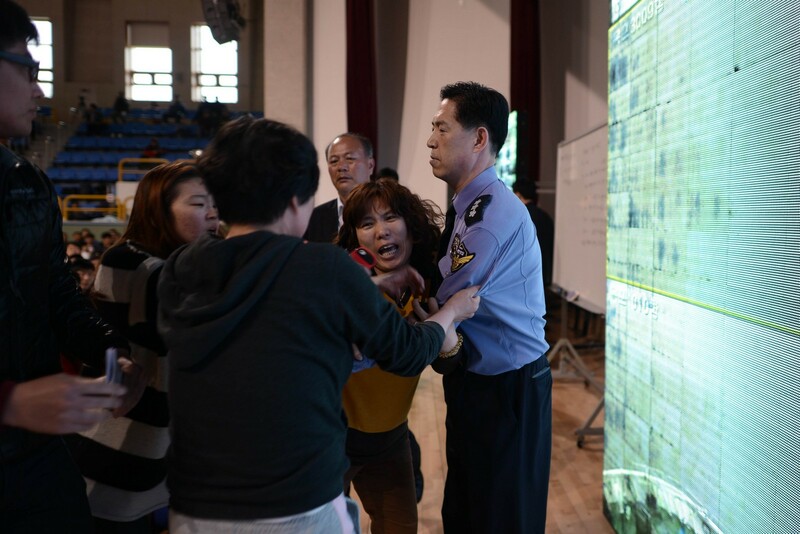 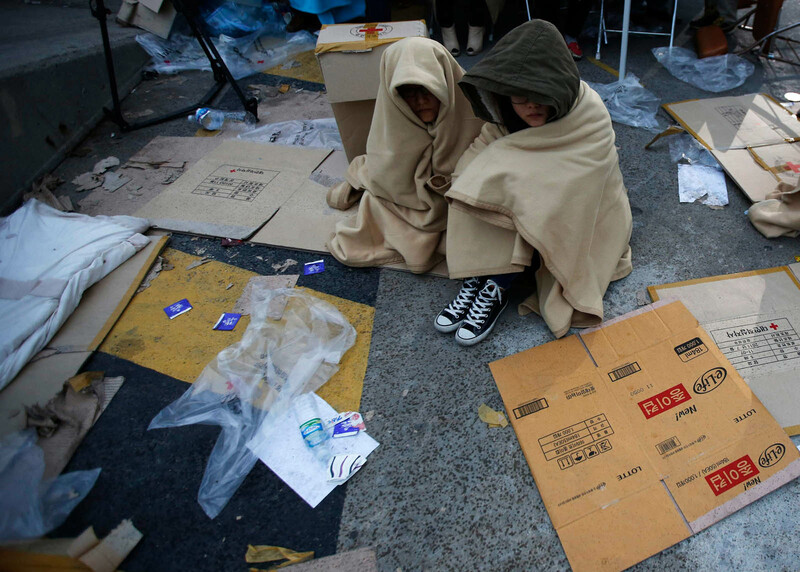 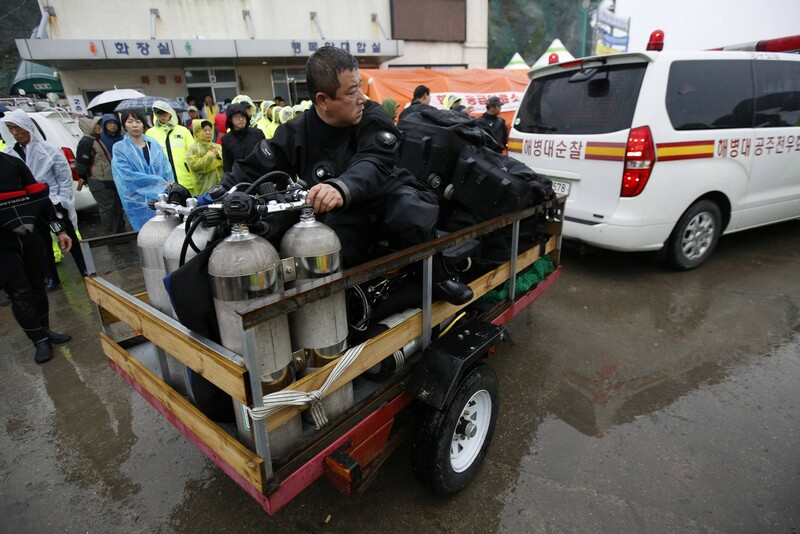 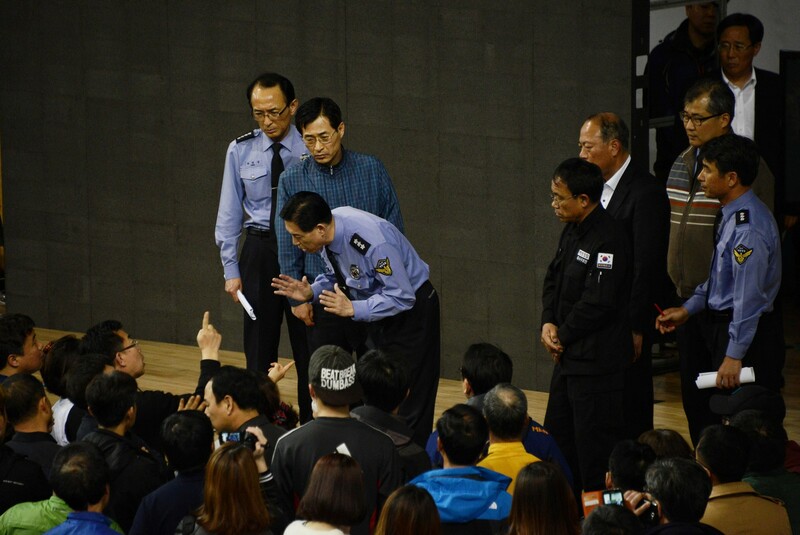 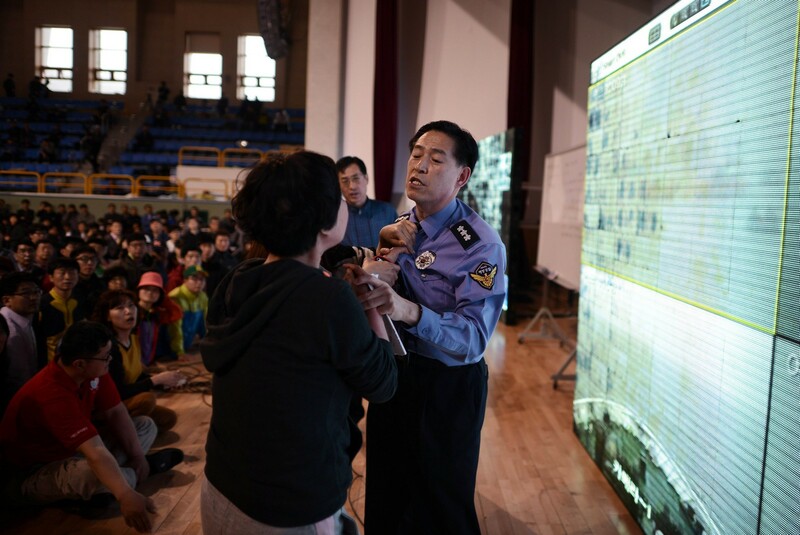 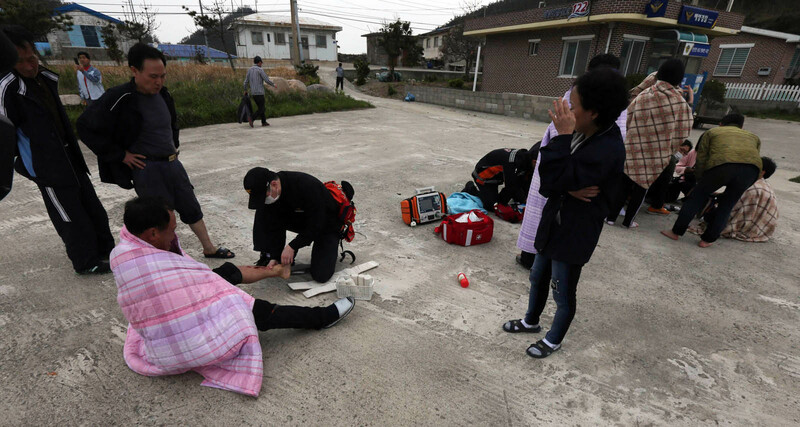 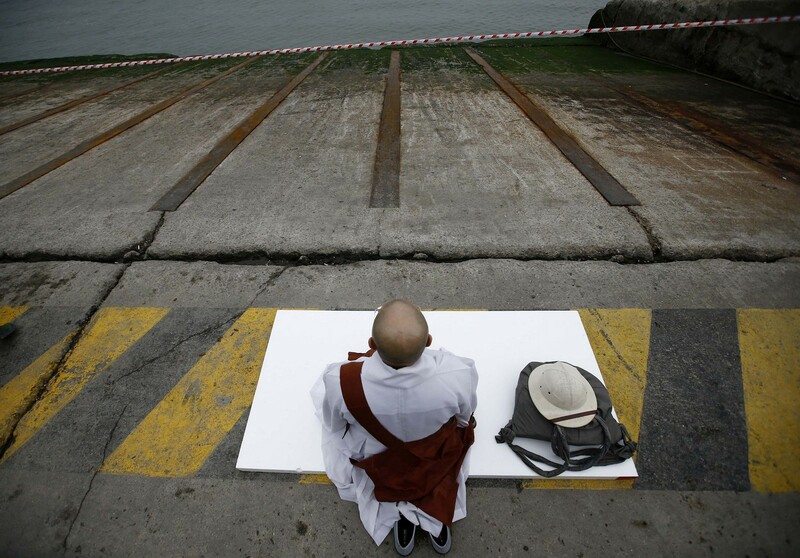 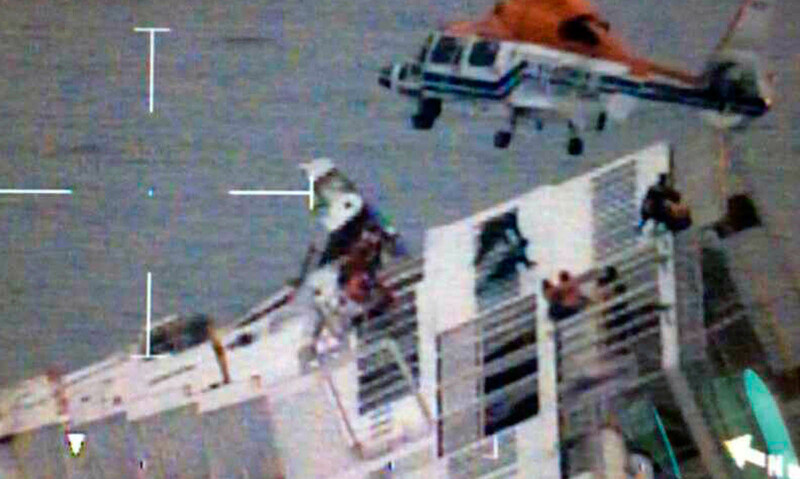 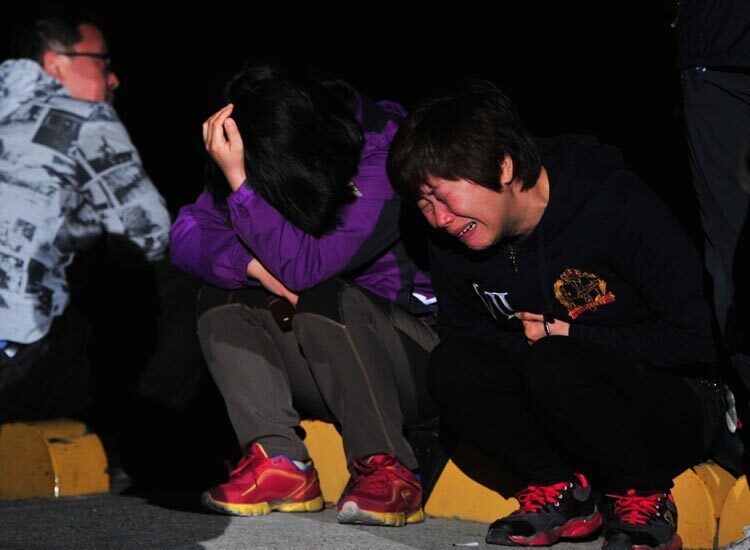 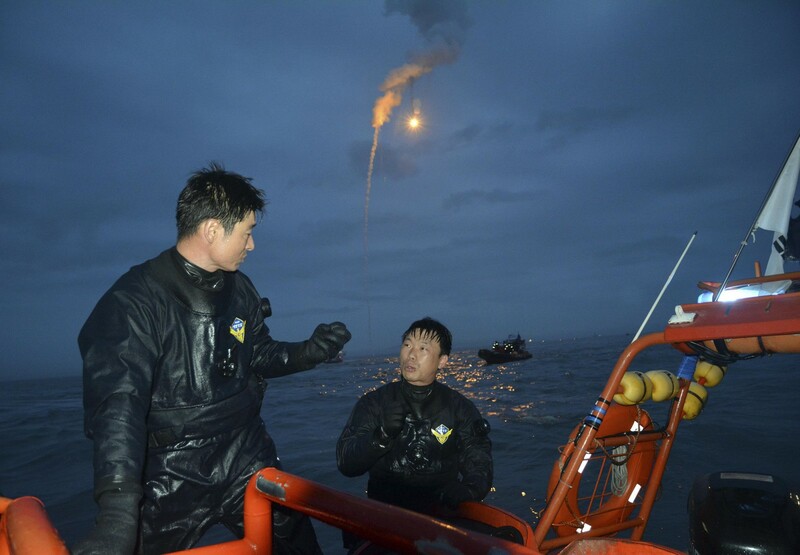 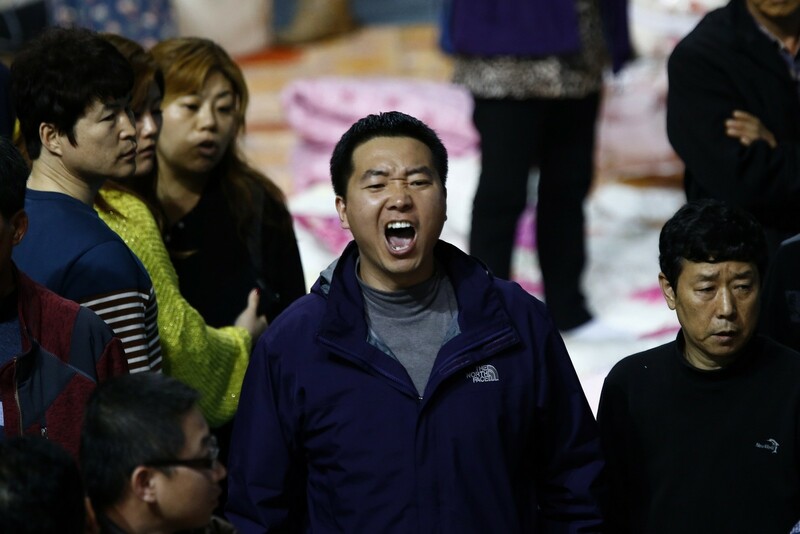 As the search continues, the authorities deployed 171 ships, 29 aircraft and scores of divers from 6 a.m. Thursday. 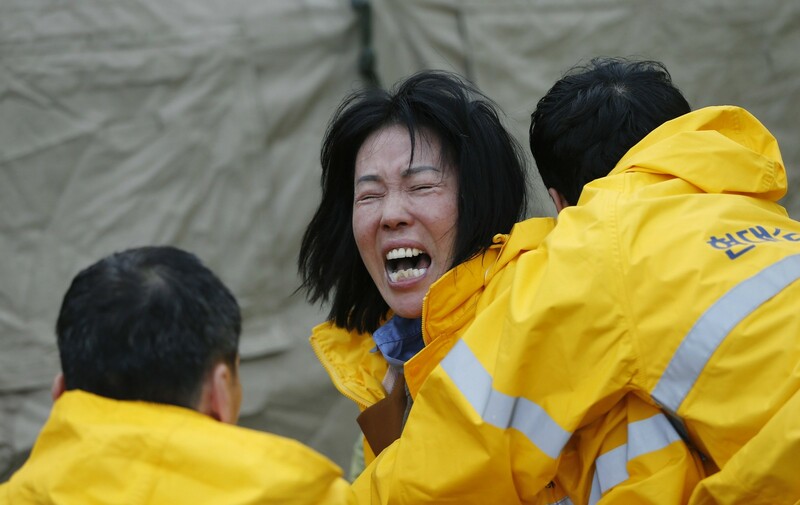 Although rescuers worked through the night, little progress was made in locating the missing. 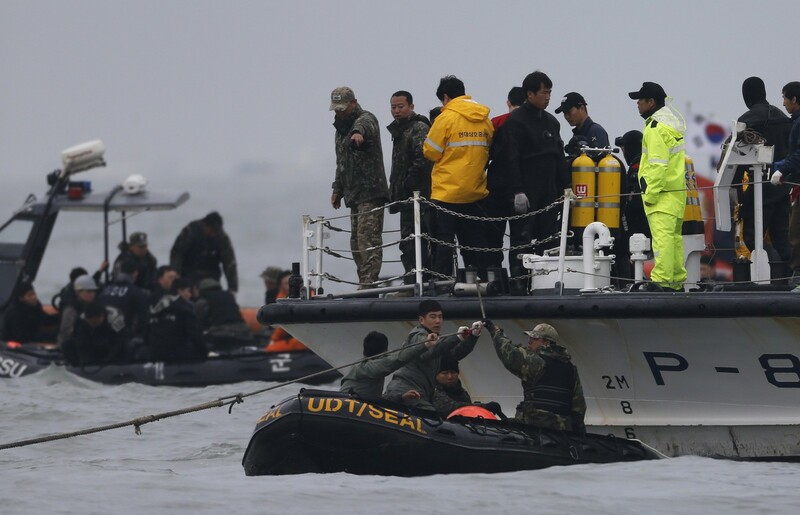 As of 10:16 a.m., the death toll stood at seven, while the number of people rescued inched up to 179 from about 160 the day before. 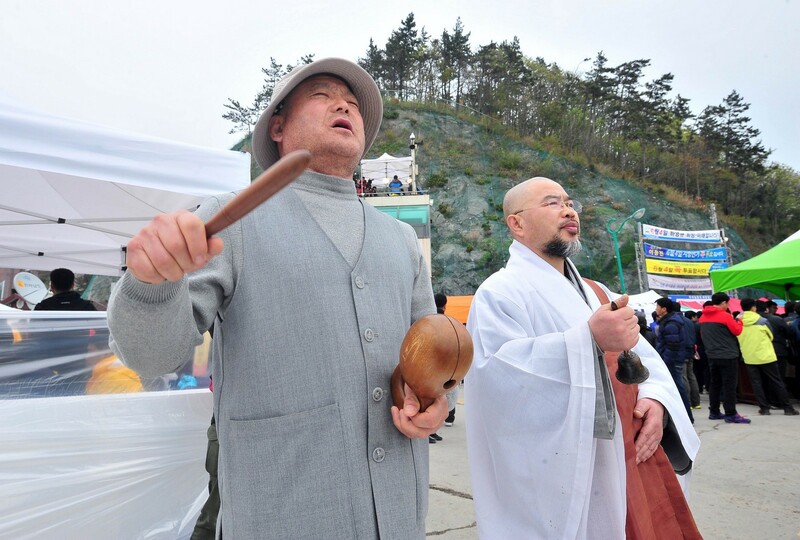 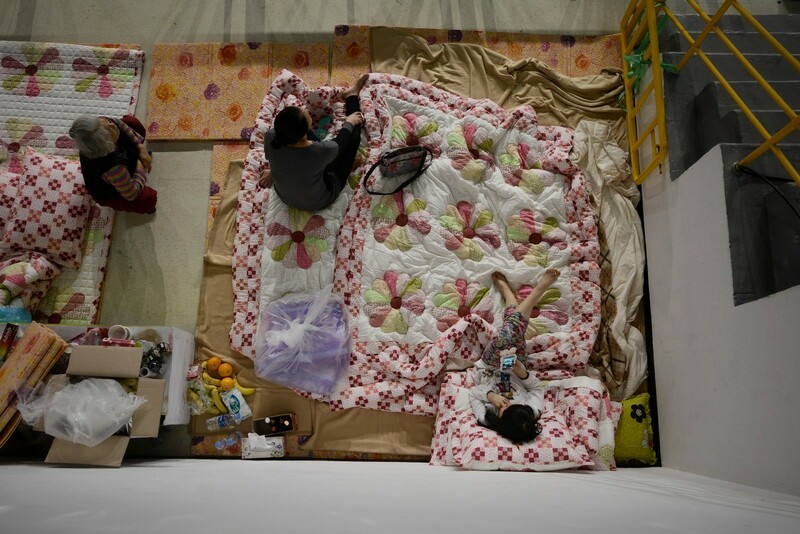 Of the seven, four are students of Danwon High School in Ansan, Gyeonggi Province, and one is a teacher who was accompanying the students on their school trip to Jejudo Island. 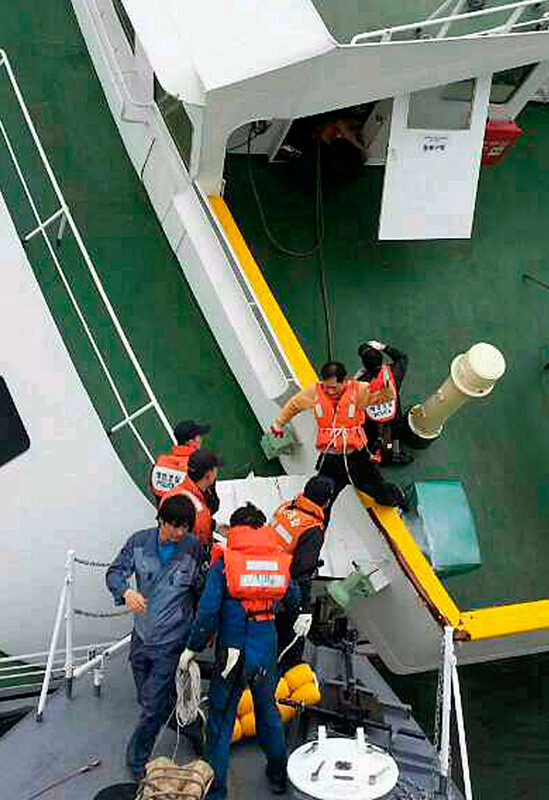 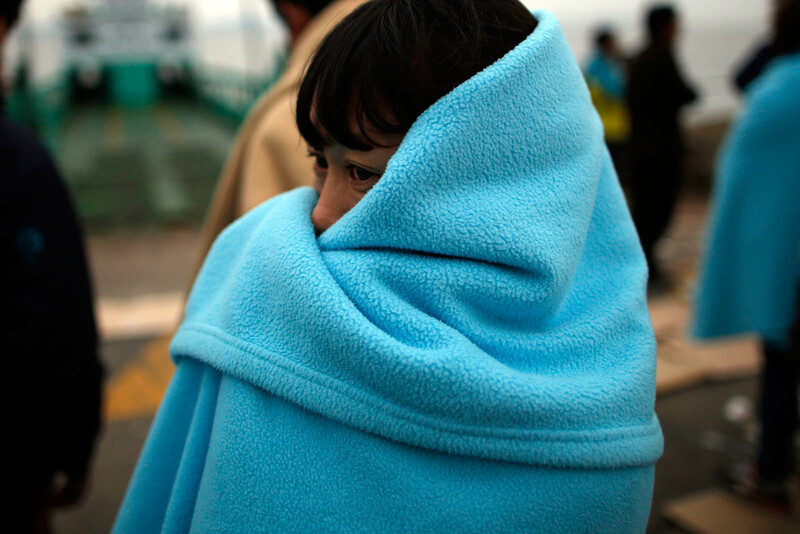 The sixth is 22-year-old Park Ji-young, a member of the ship's crew. 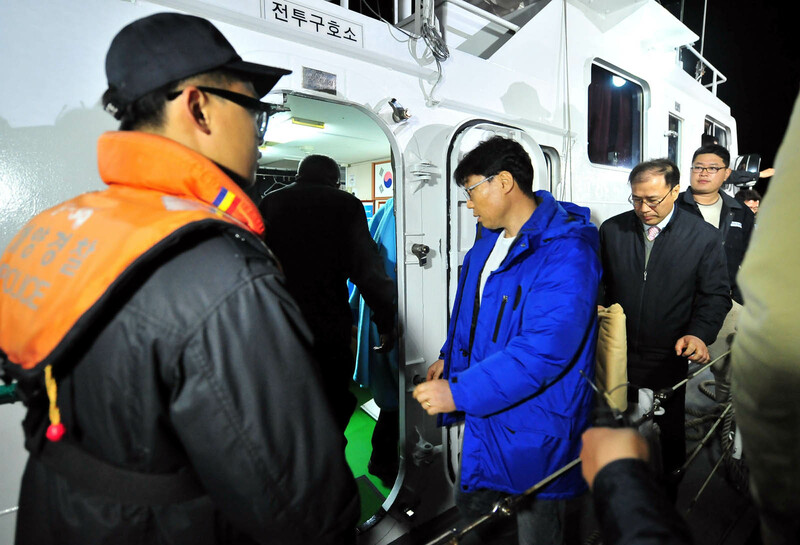 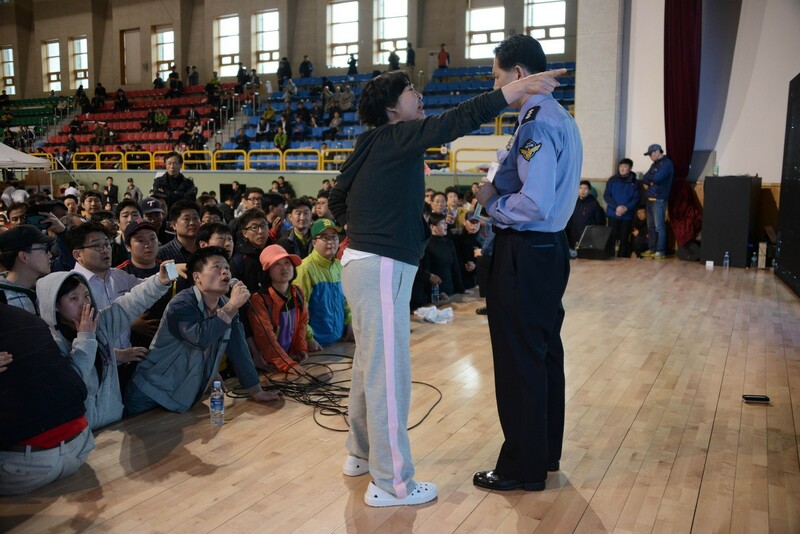 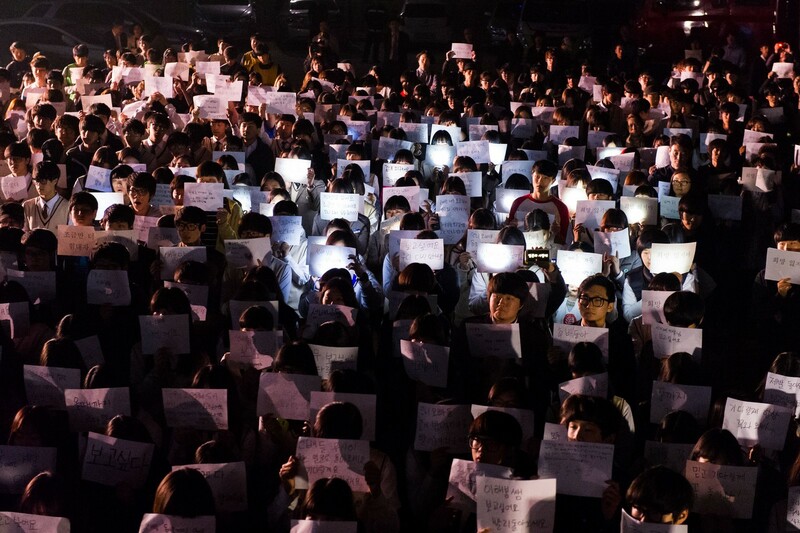 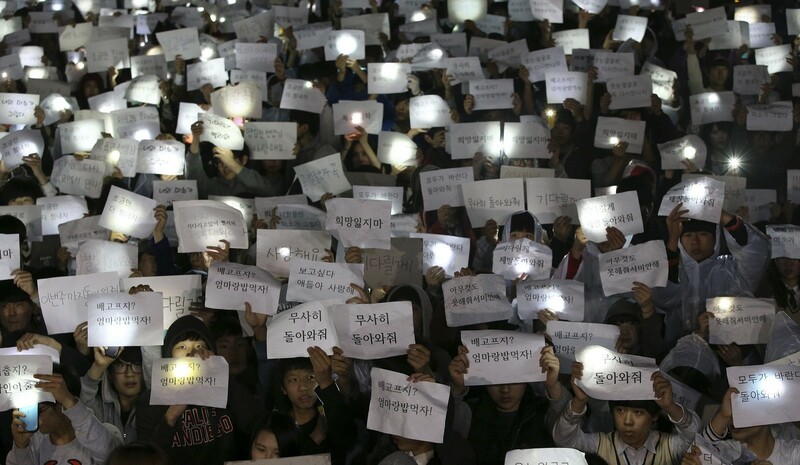 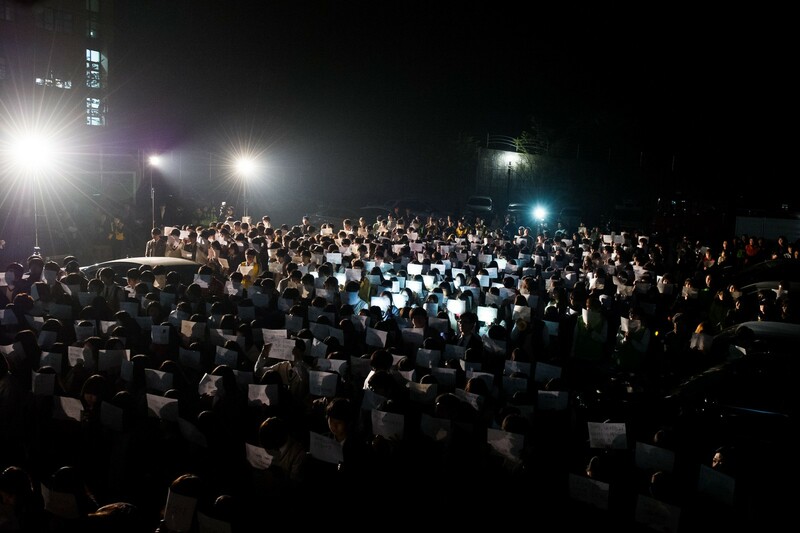 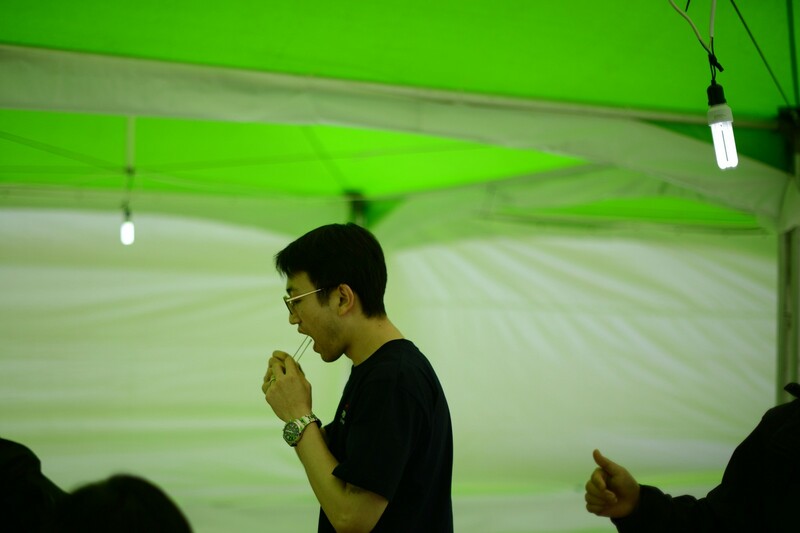 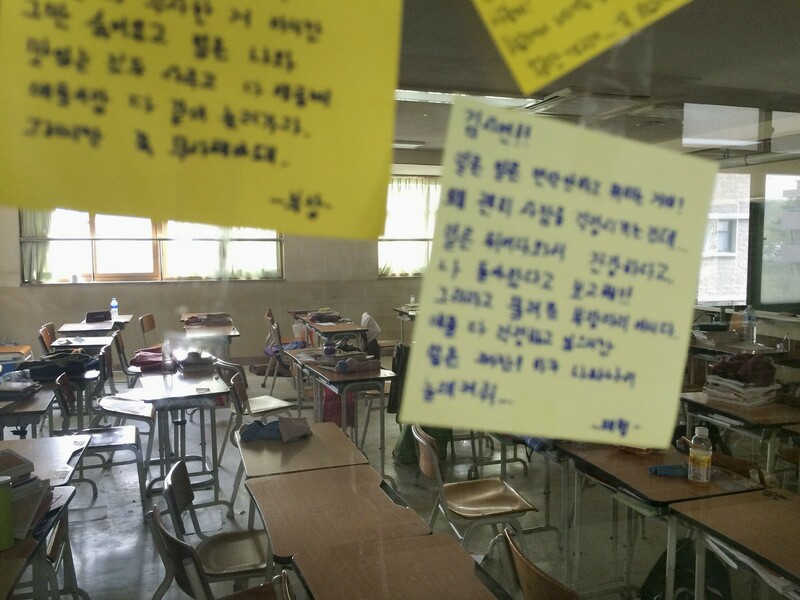 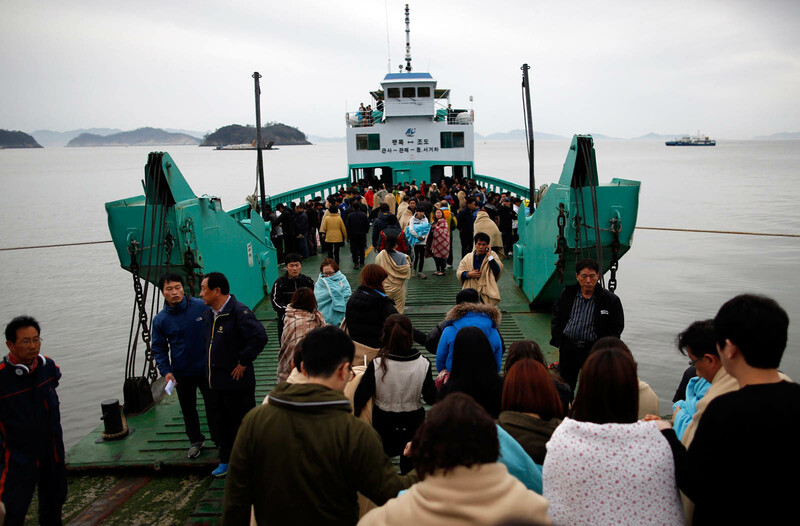 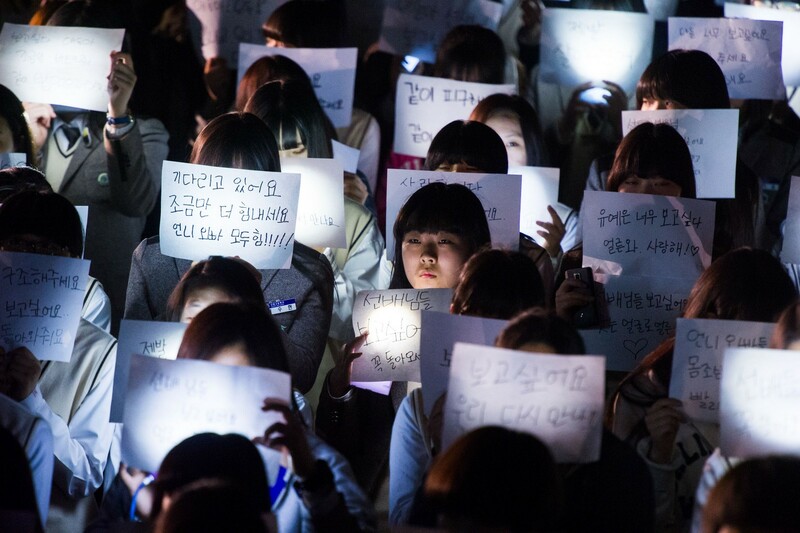 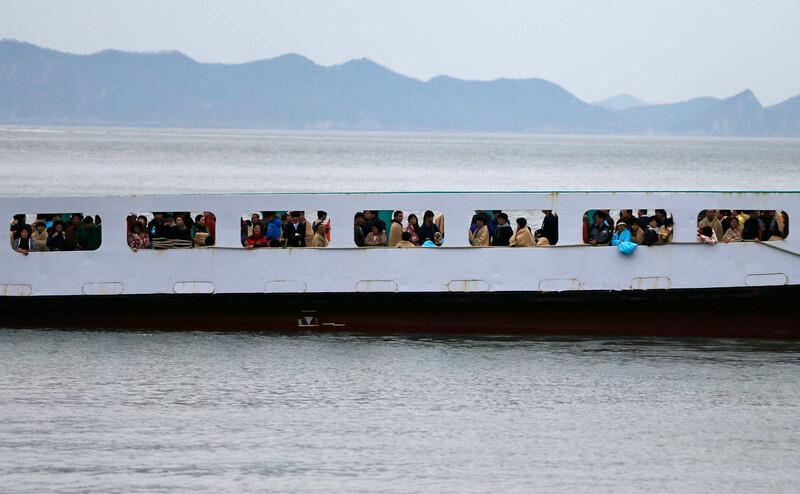 Of the 475 people on board, 329 were Danwon High School students and teachers. 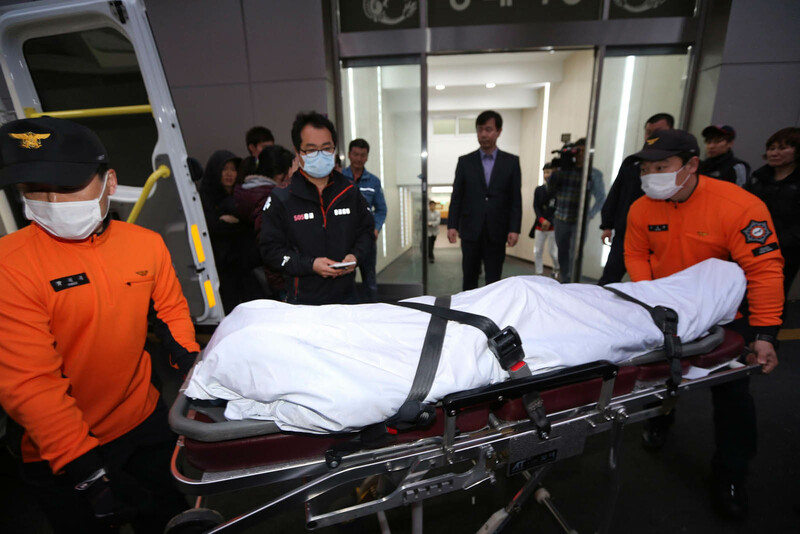 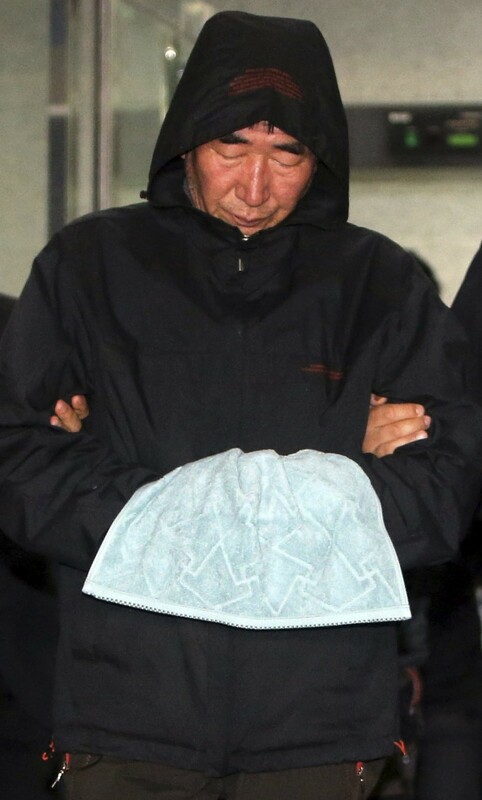 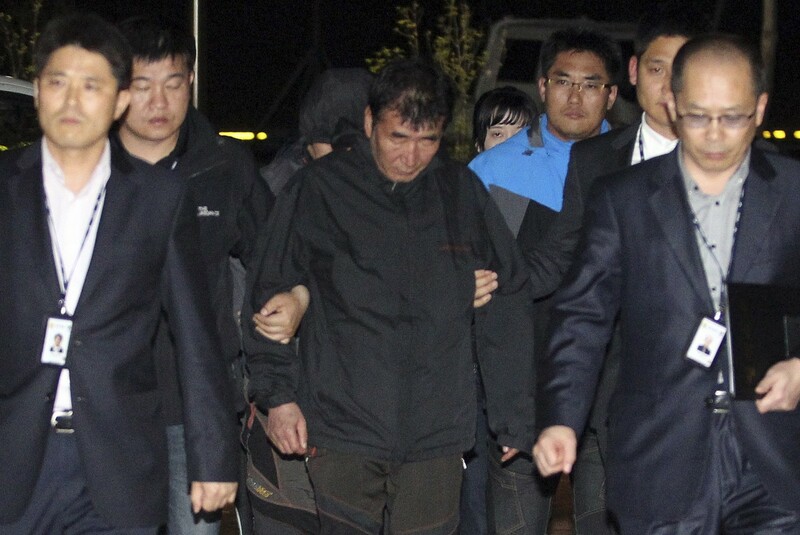 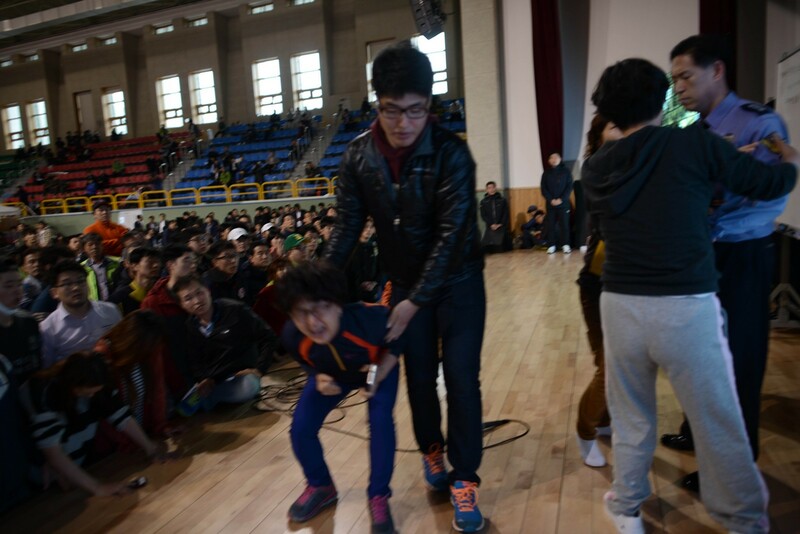 The seventh has been recently identified to be another high school student named Park Young-in. 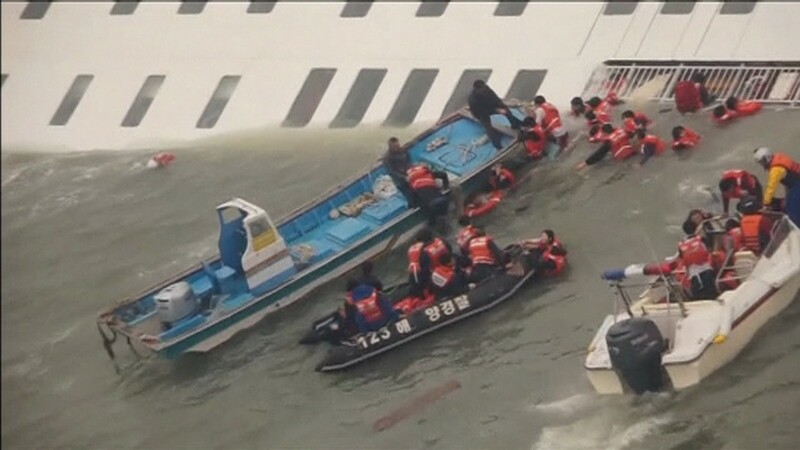 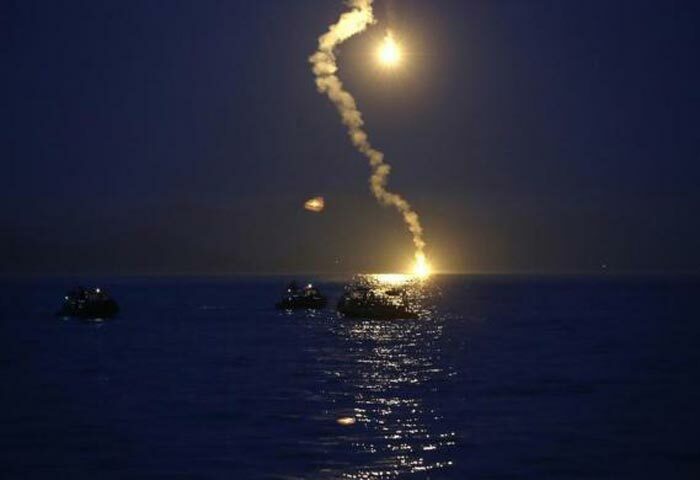 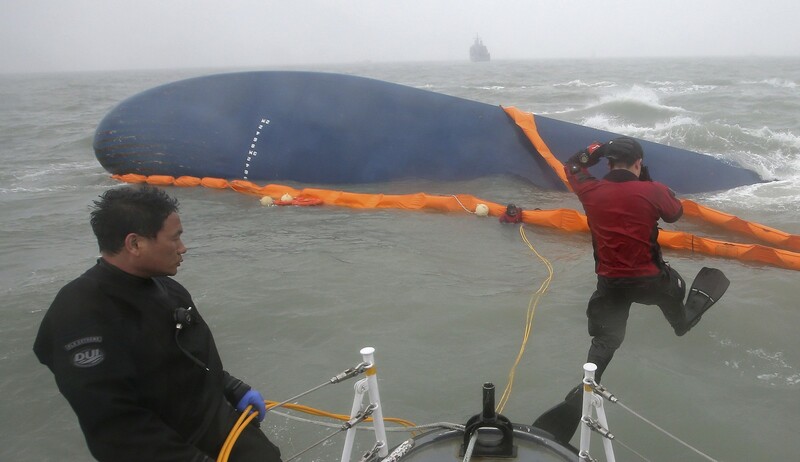 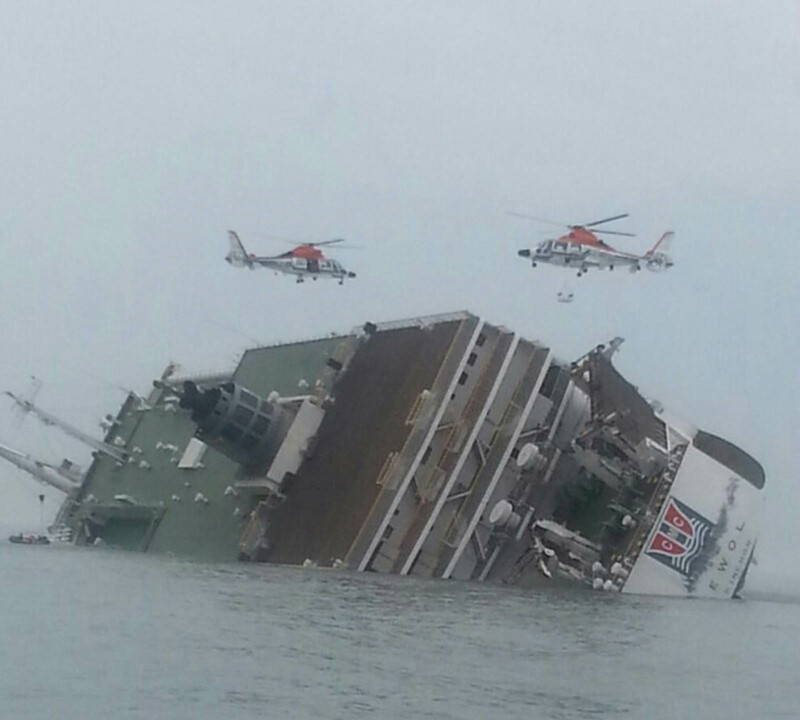 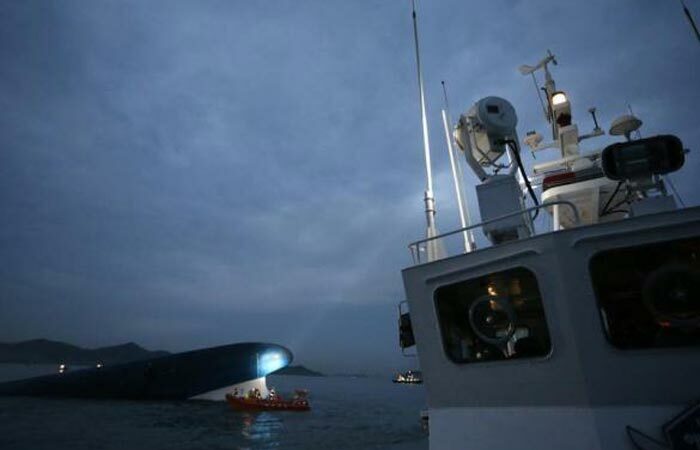 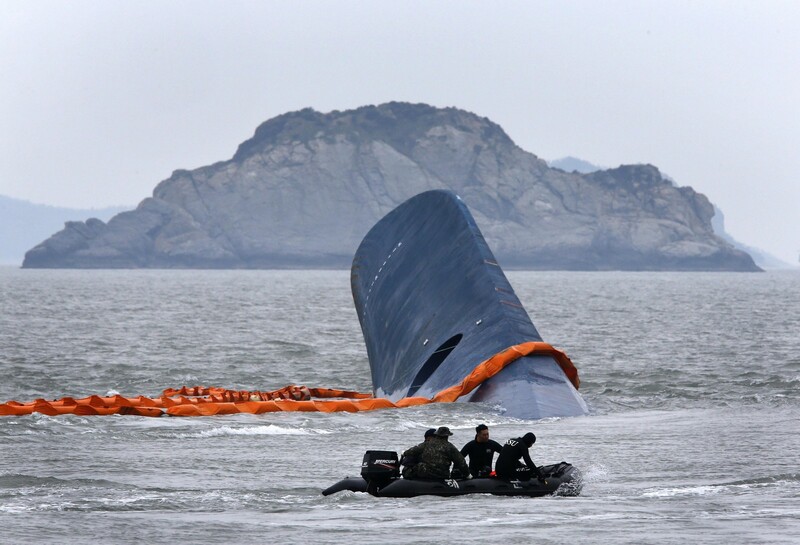 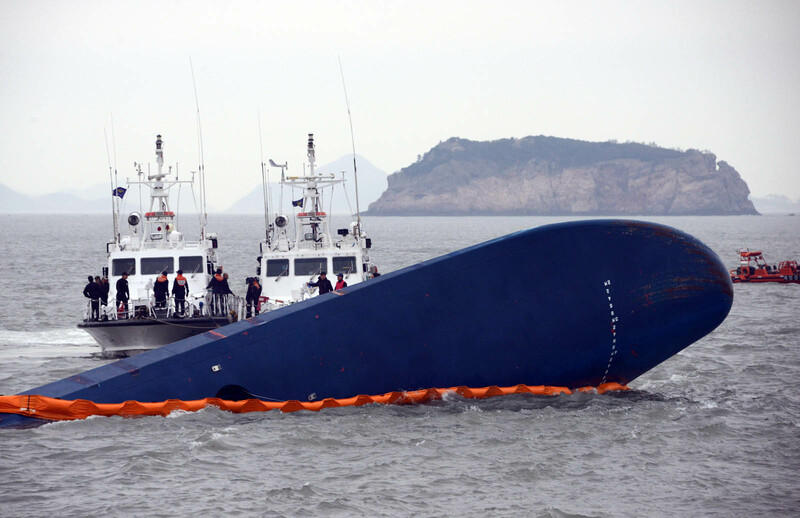 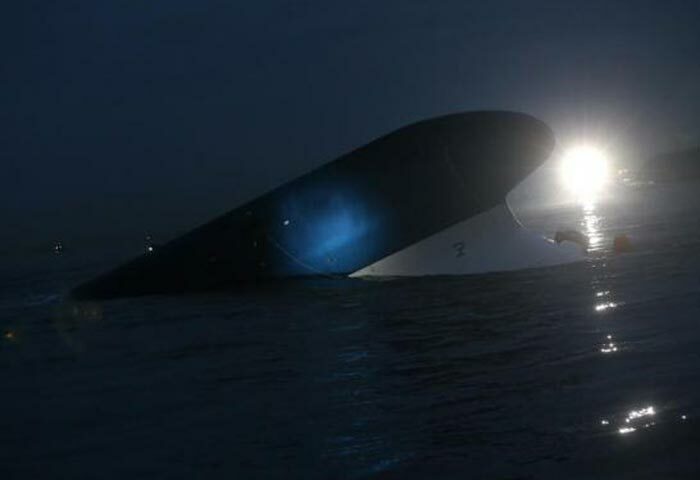 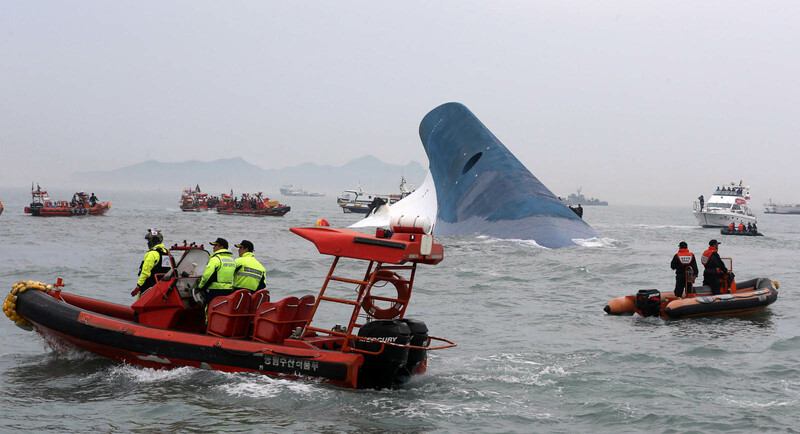 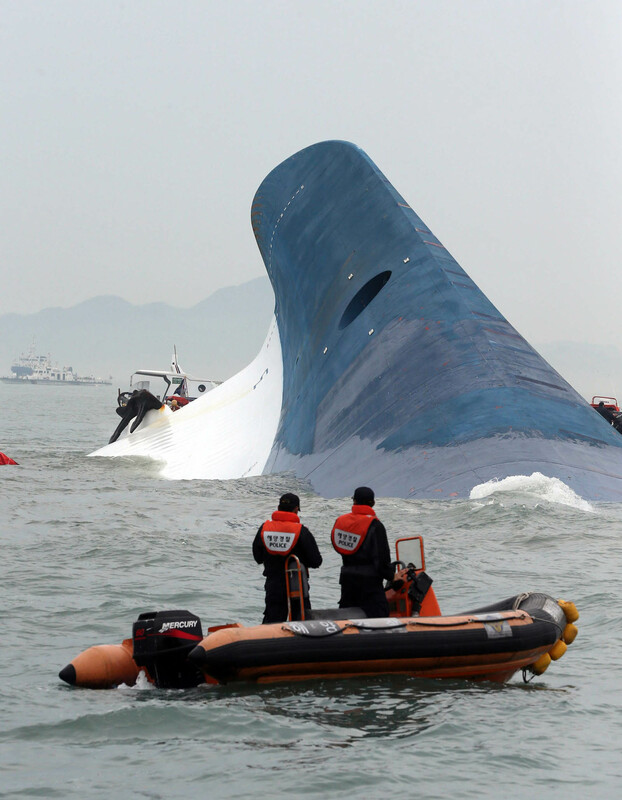 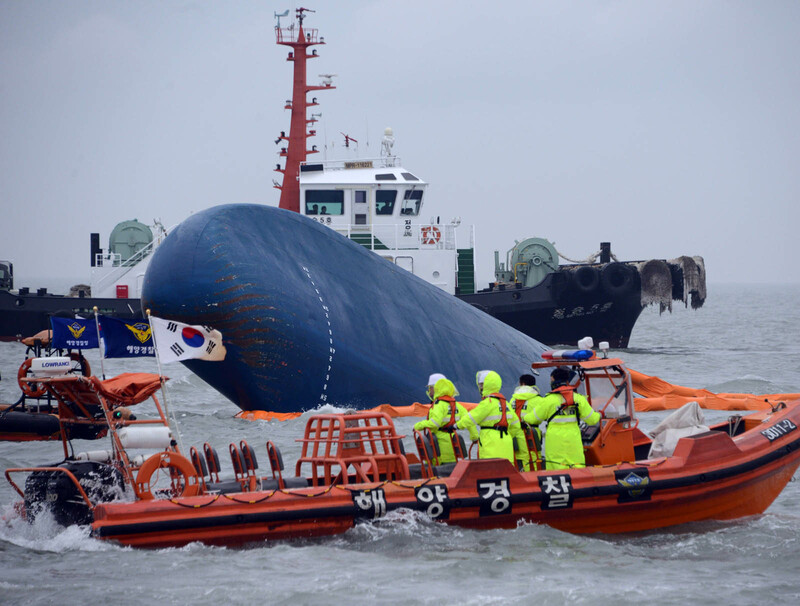 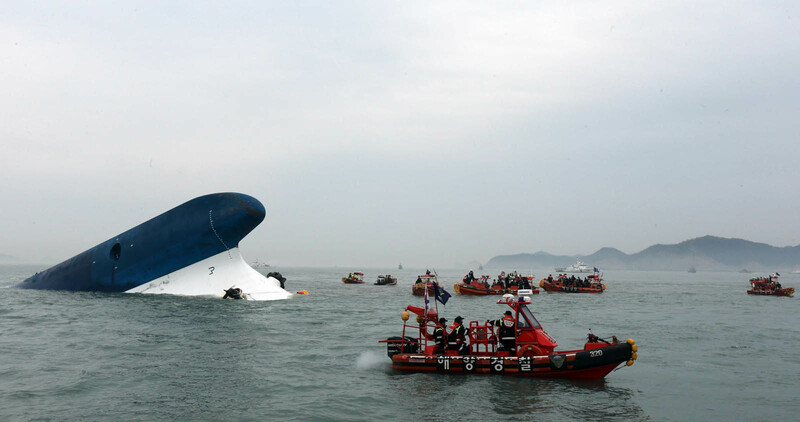 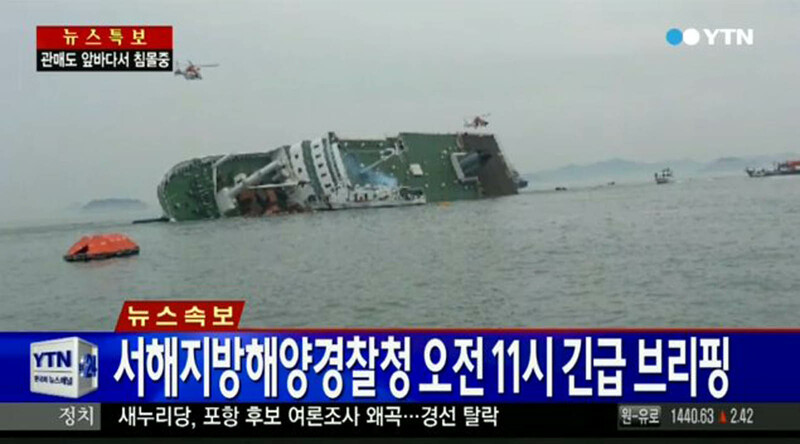 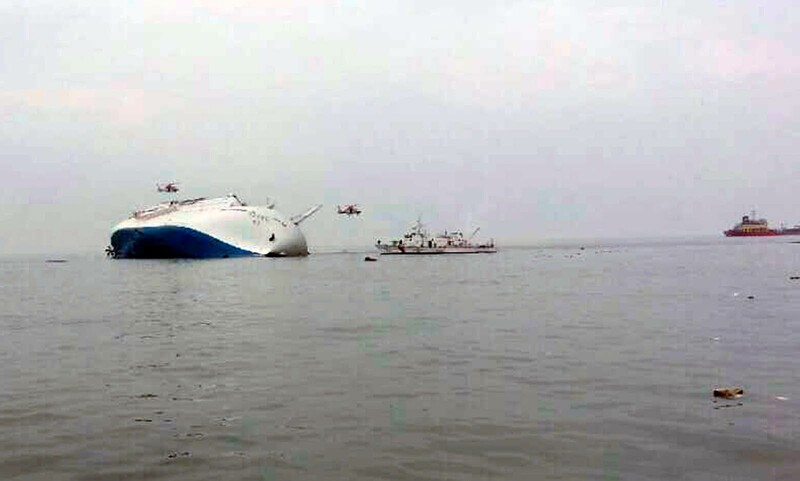 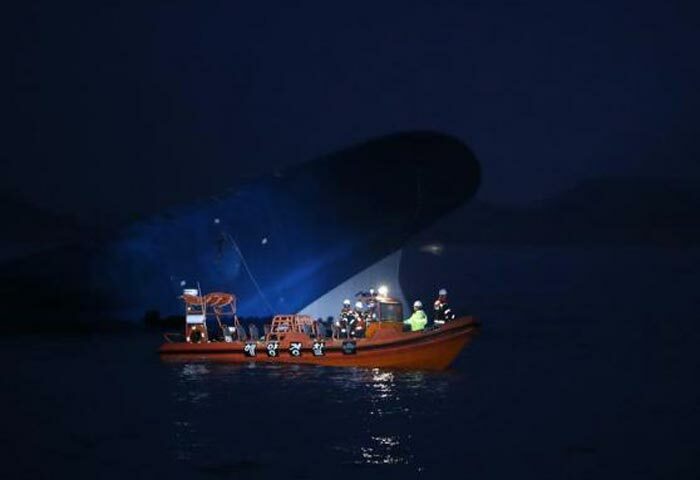 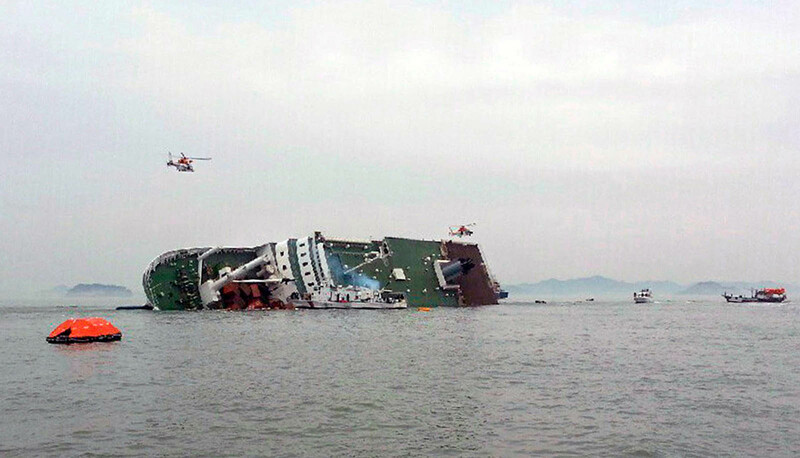 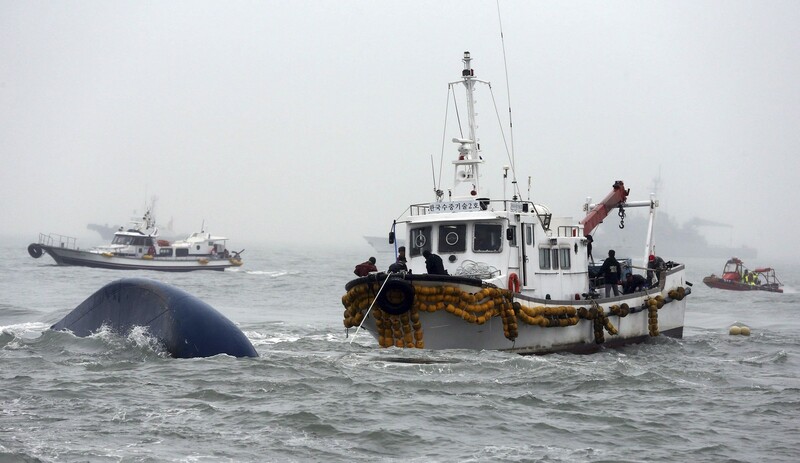 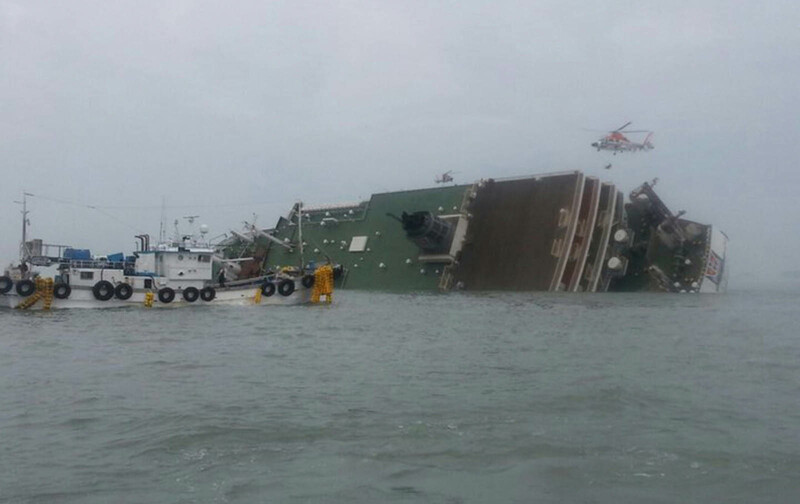 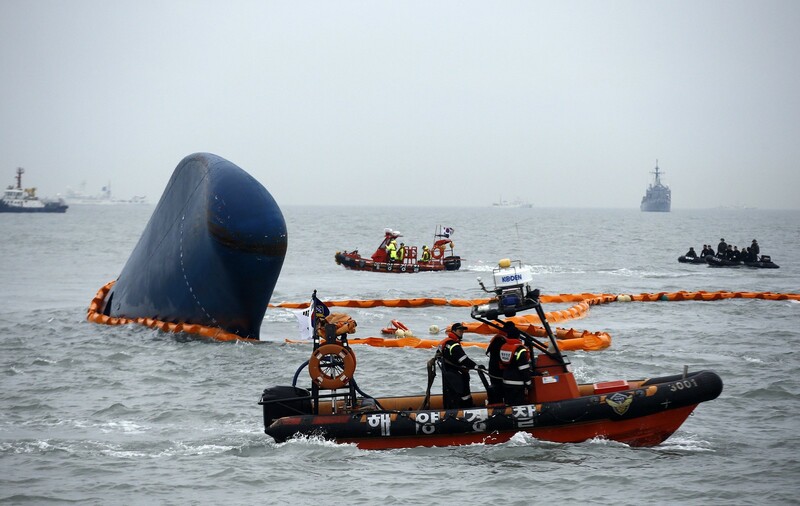 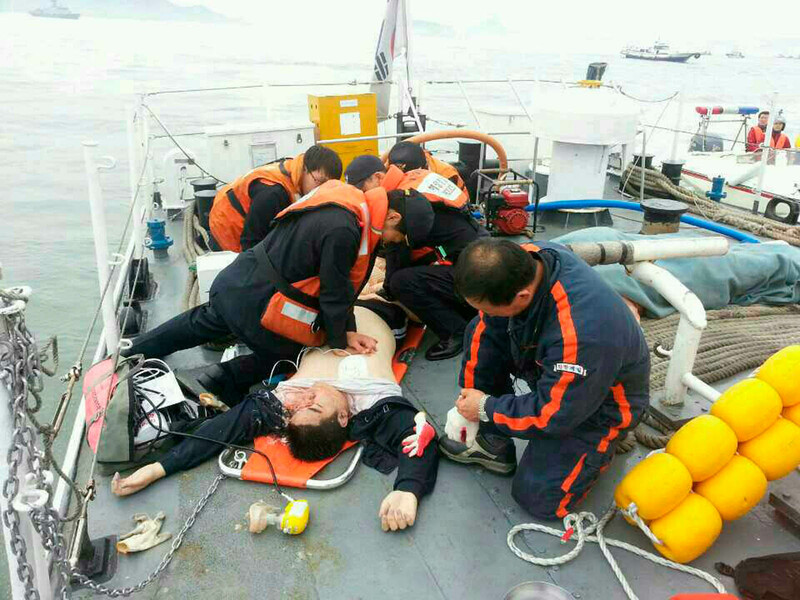 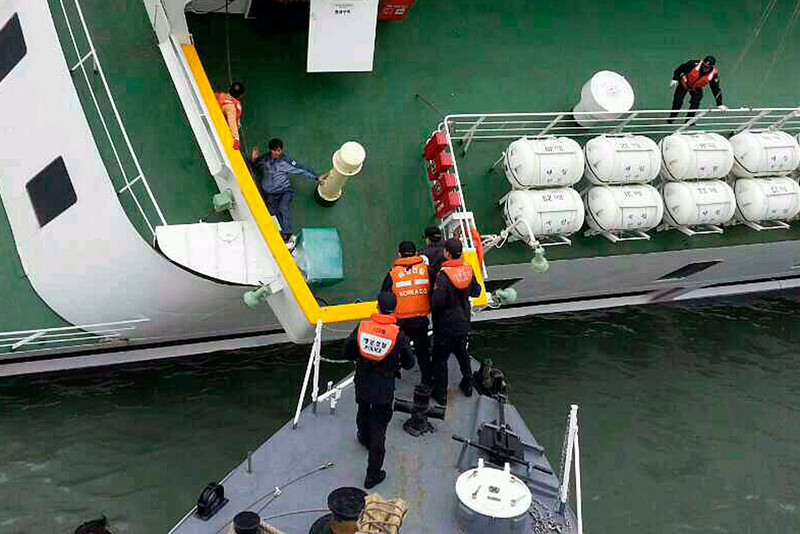 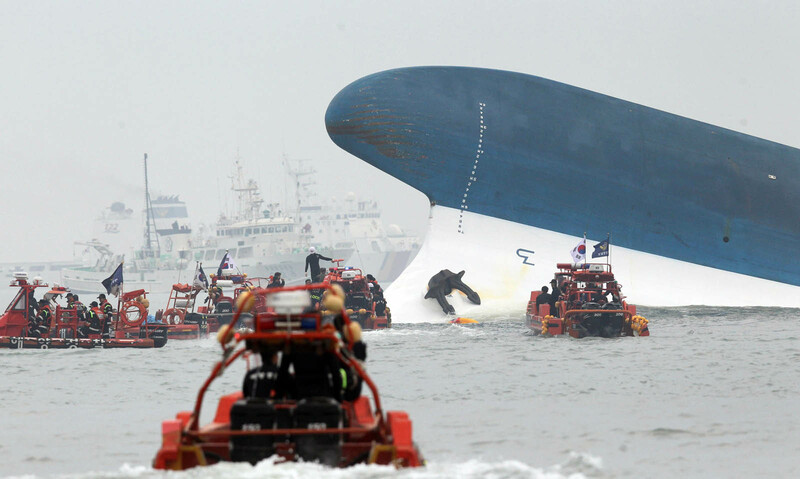 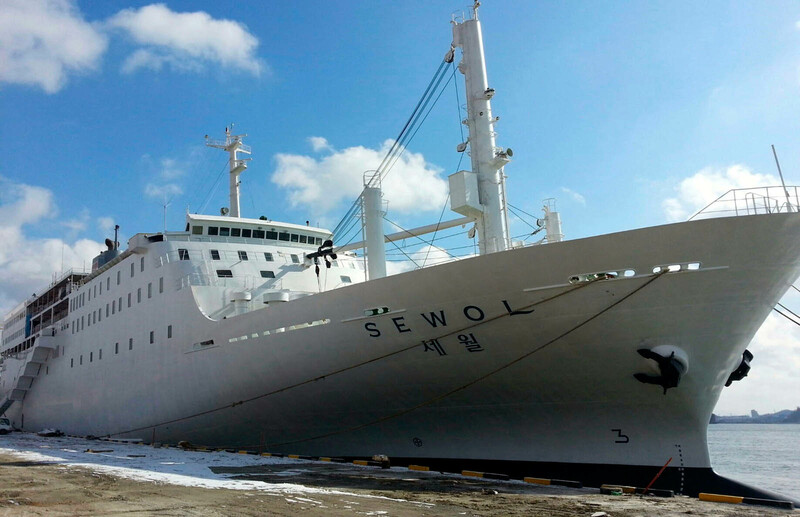 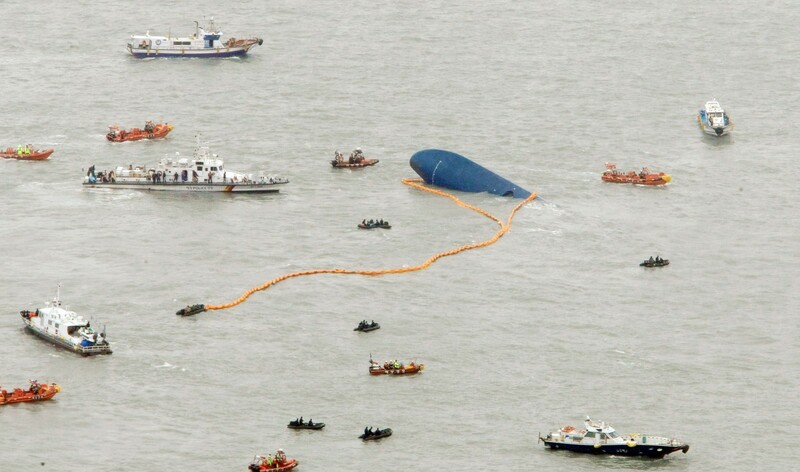 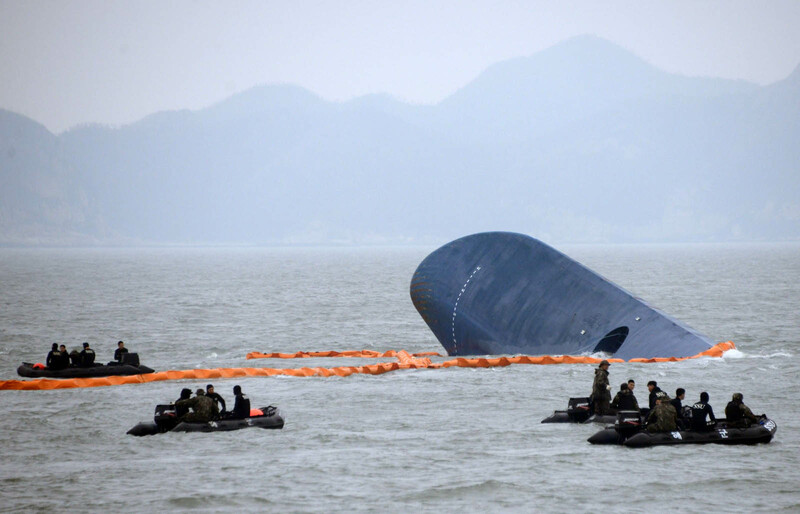 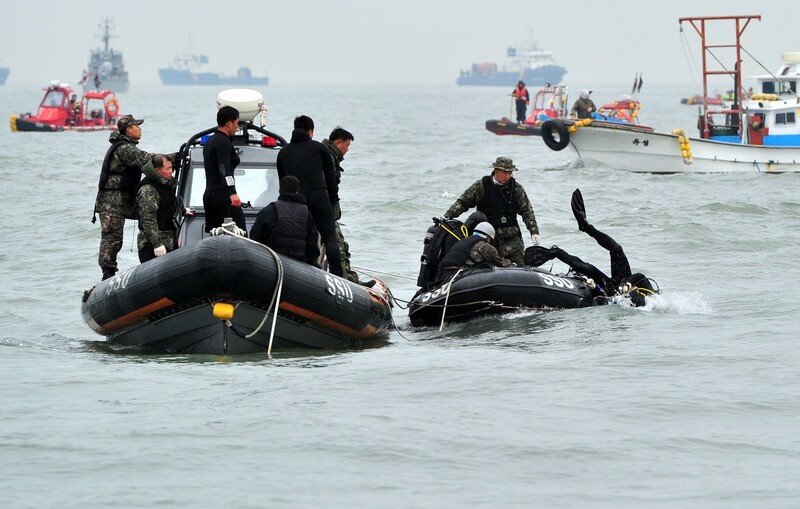 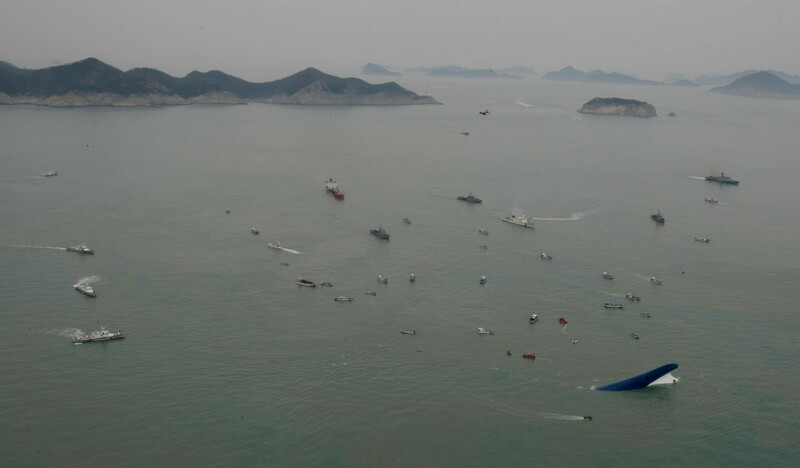 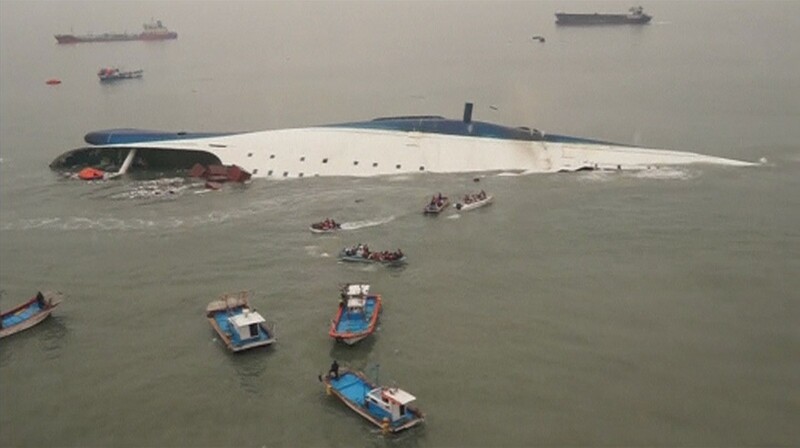 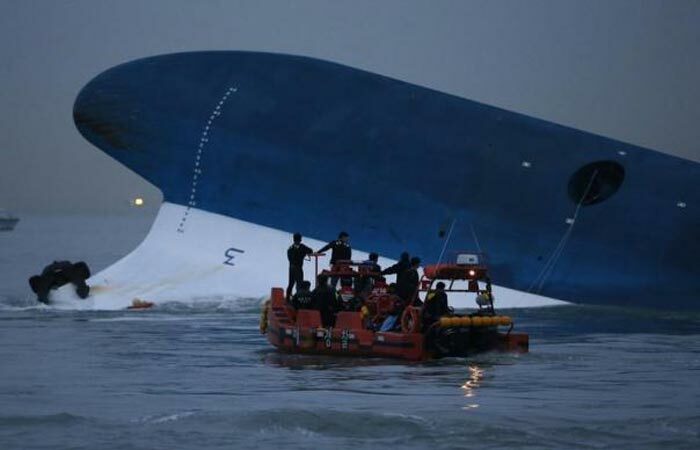 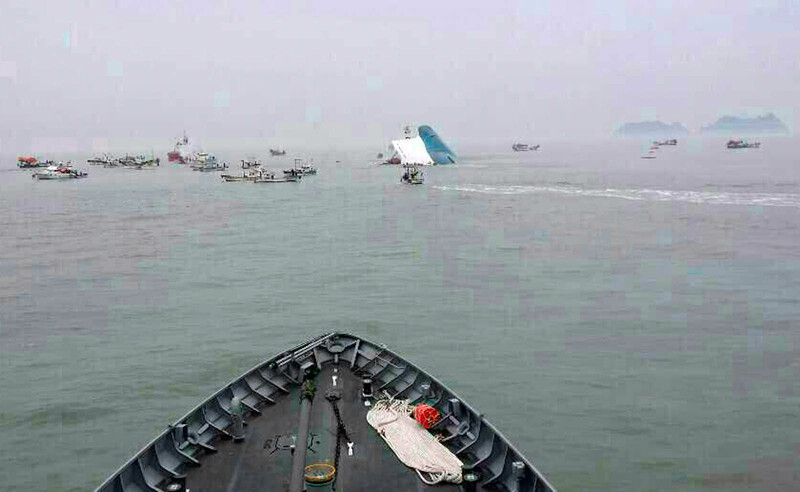 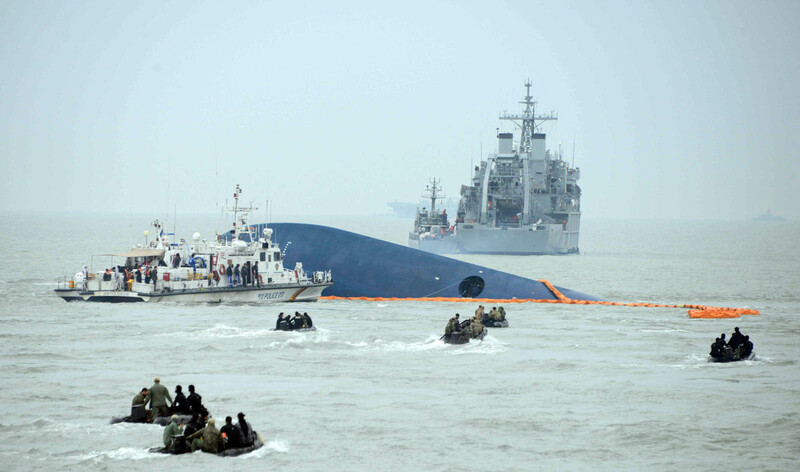 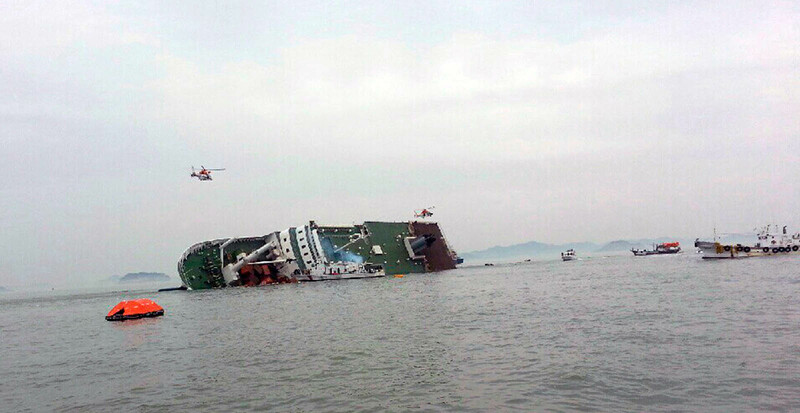 The ferry, operated by Chonghaejin Marine Co., began to sink at about 8:55 a.m. on Wednesday about 20 kilometers off the coast of Jindo Island, South Jeolla Province. 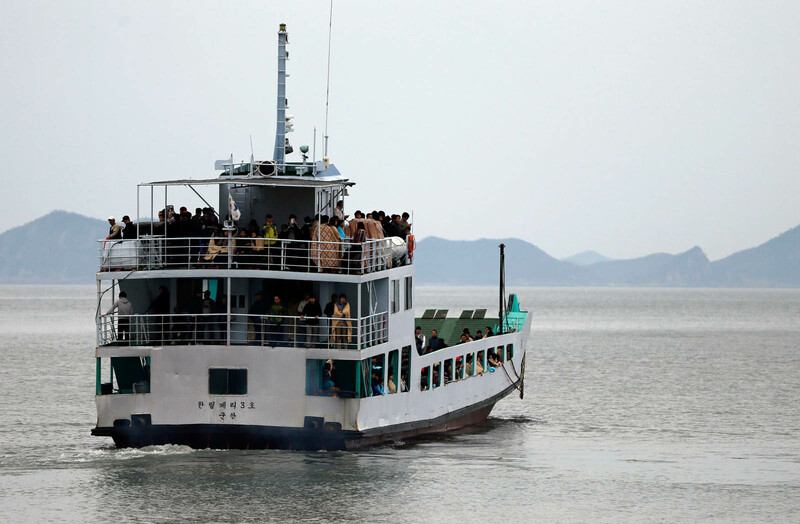 The ferry was heading to Jejudo Island from Incheon. 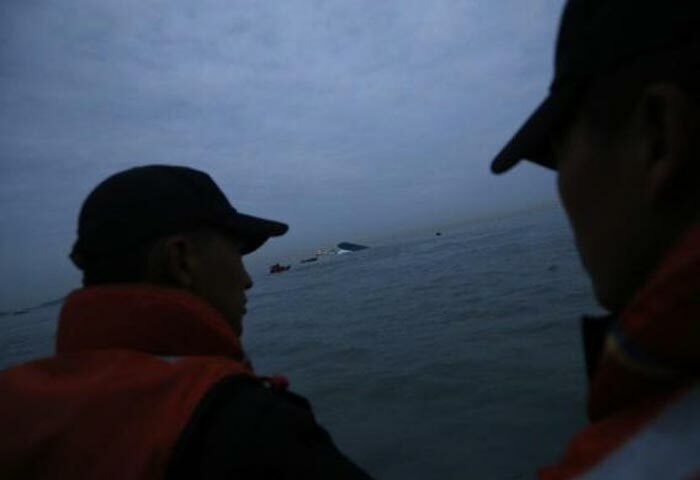 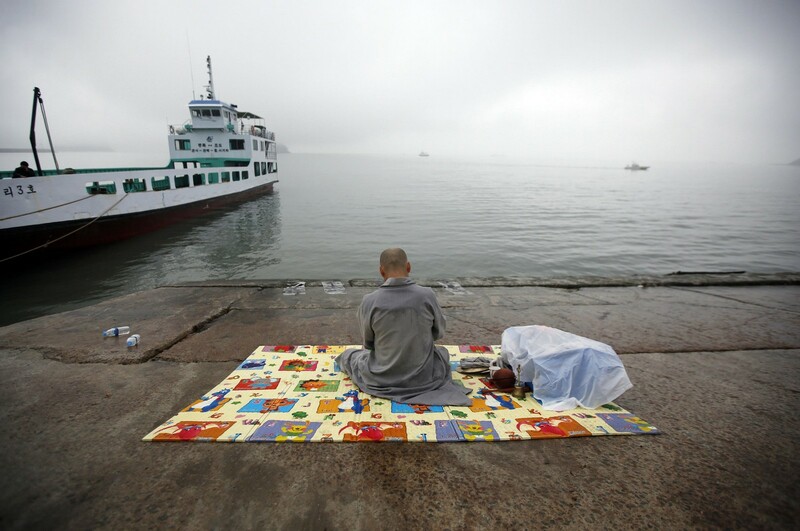 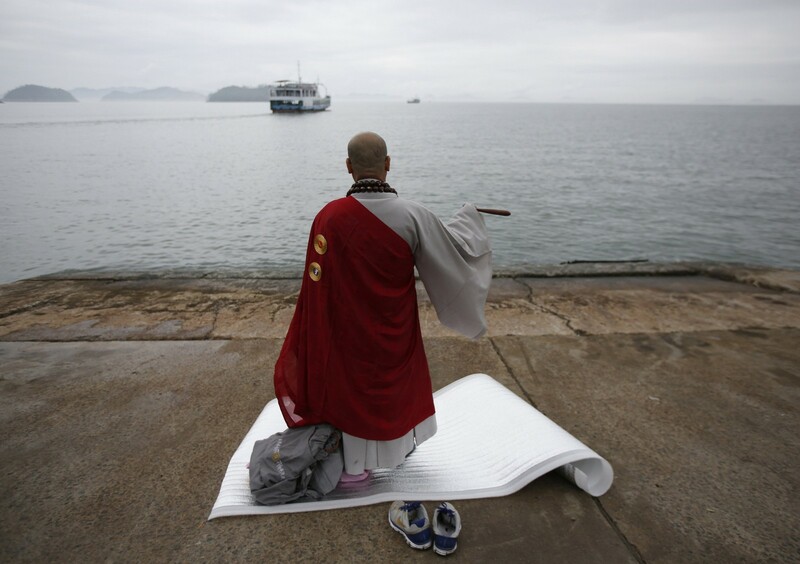 The area where the ship sank is said to be rocky, and the Ministry of Oceans and Fisheries revealed that the ferry began to drift in an unexpected direction from 8:52 a.m. 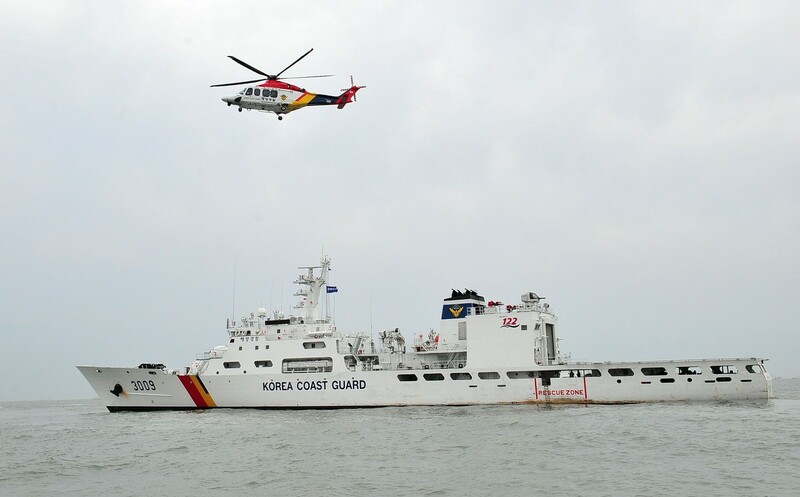 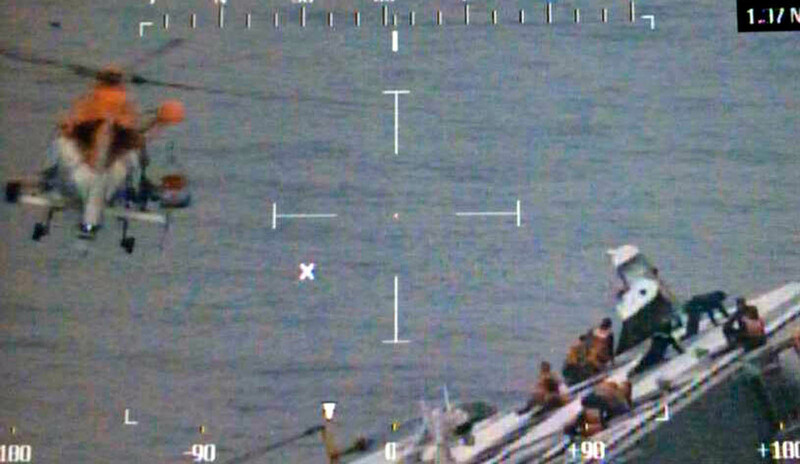 Although a massive rescue mission involving the Armed Forces, Coast Guard and civilian vessels was launched almost immediately with the government setting up a central command, efforts have been hampered by strong currents and murky underwater conditions. 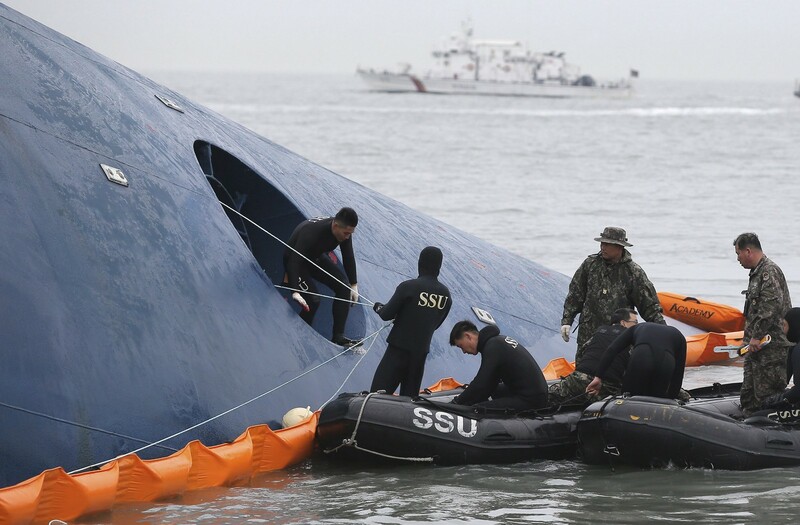 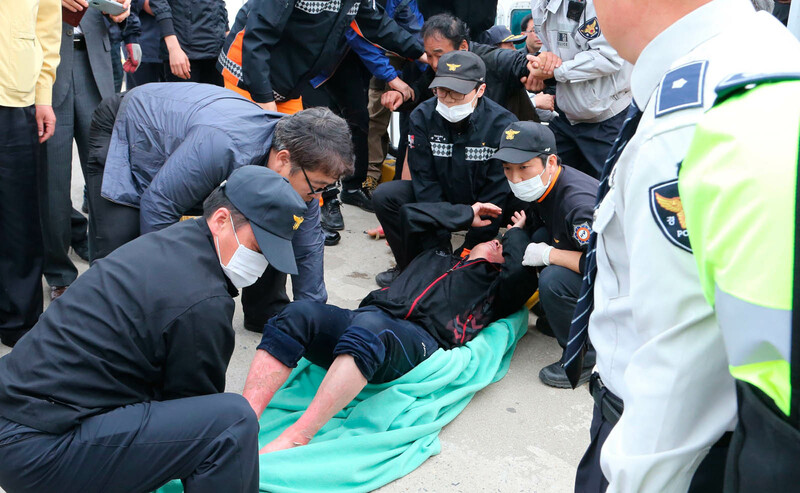 Little is known about the cause of the accident, but survivors report that there was a loud noise before the ferry began to sink, fueling speculations that it may have hit a reef. 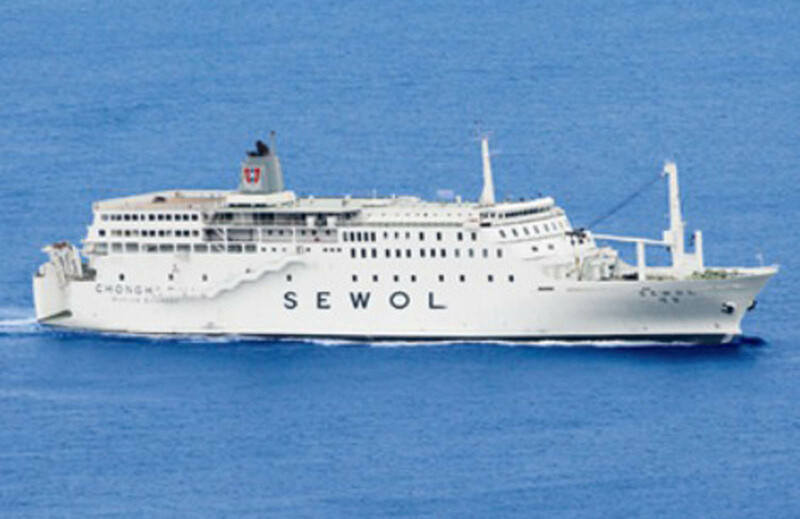 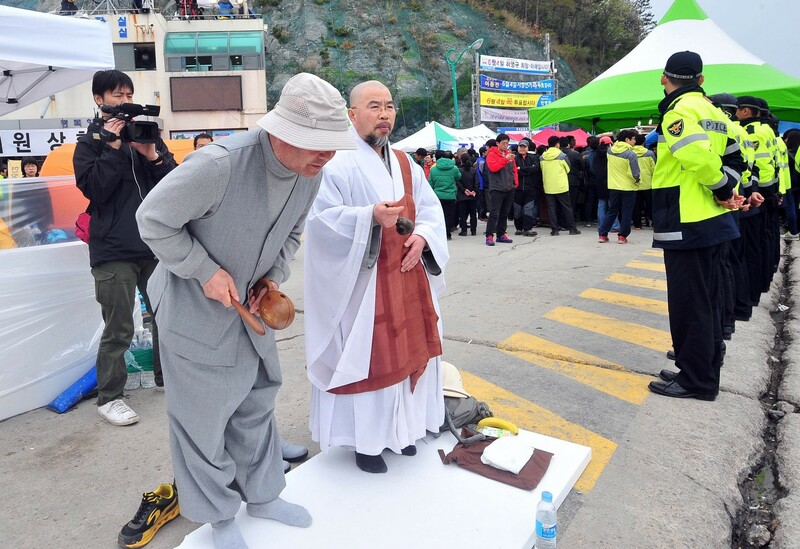 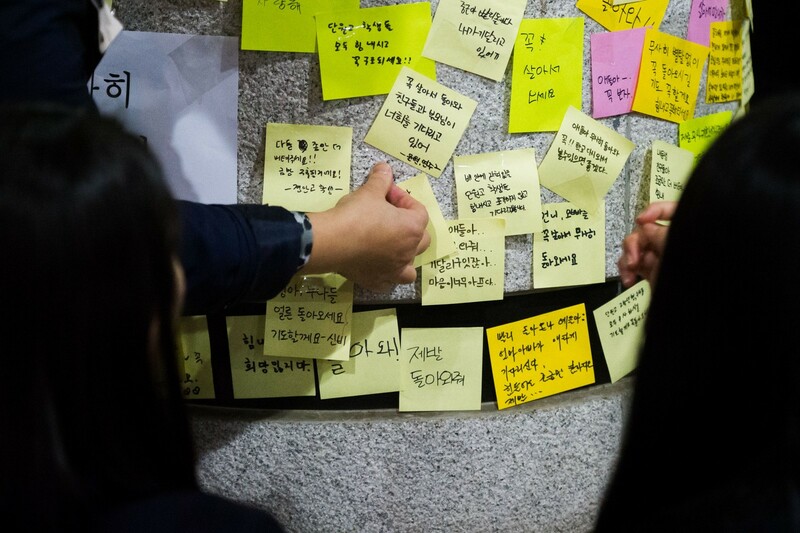 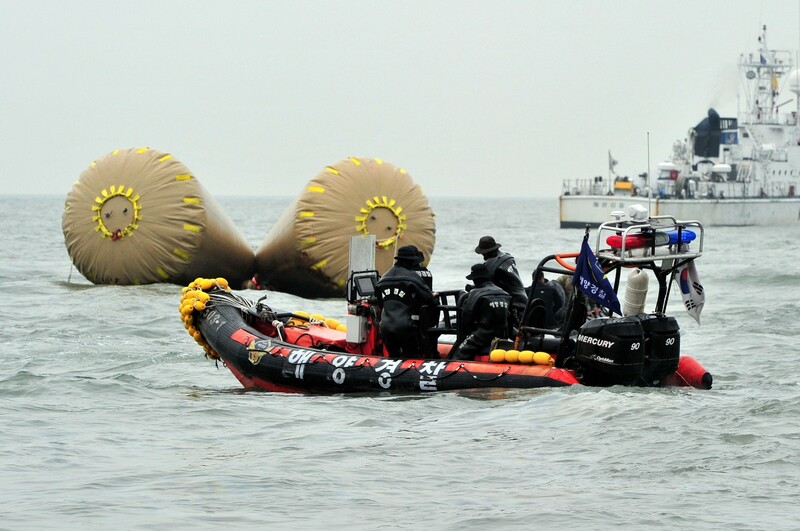 In addition, there are speculations that the Sewol may have deviated from the usual route in order to make up for lost time. 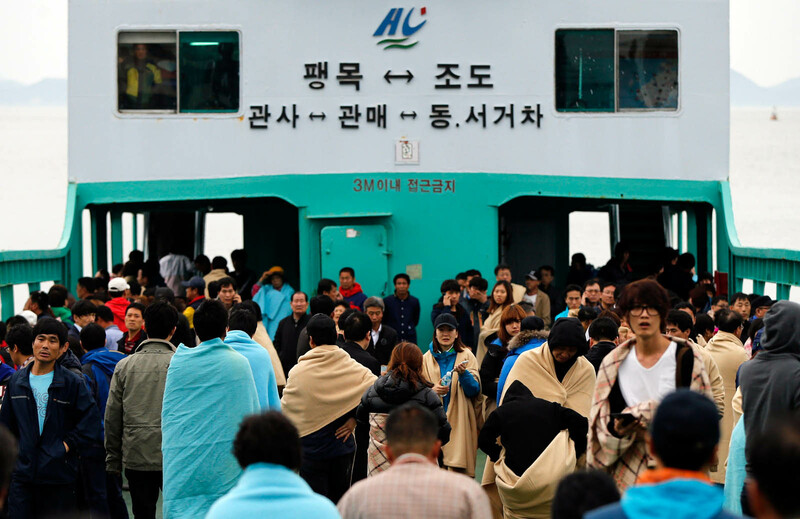 Due to heavy fog in Incheon late Tuesday evening, the ferry's departure was delayed.